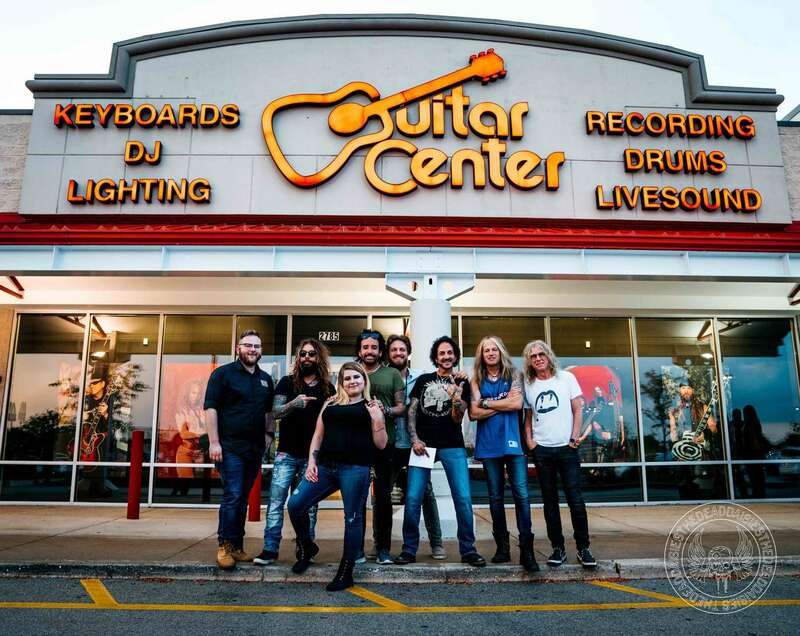 On Friday, the band headed for Illinois, and thirty miles south-west of Chicago to the city of Joliet. 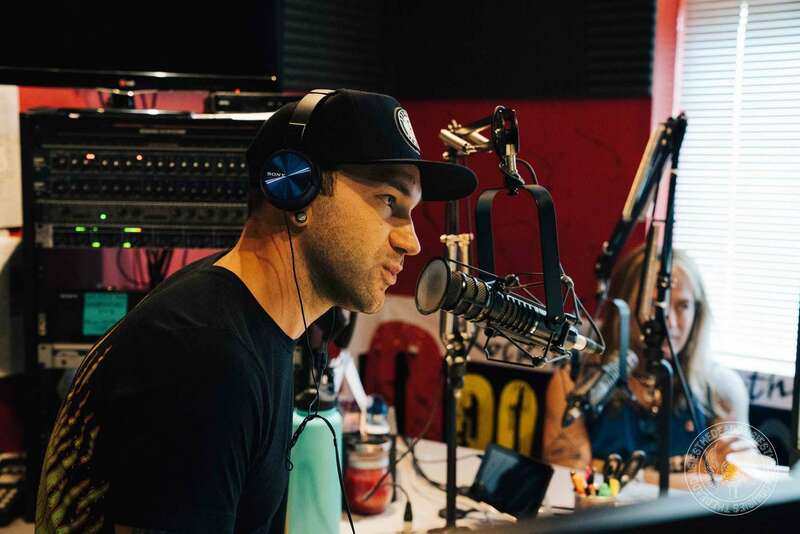 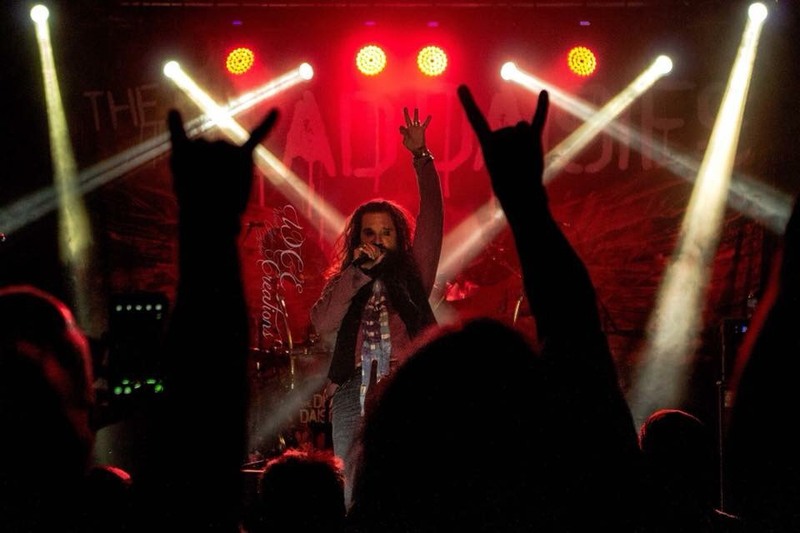 Named after the pioneer who first mapped the Mississippi River in 1673 and camped where the city now stands, Joliet was ready to party on Friday night! 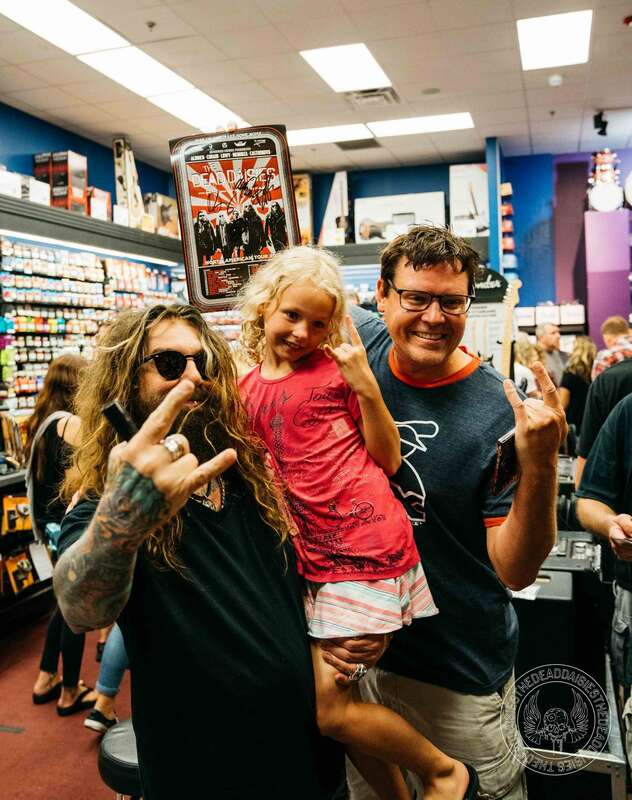 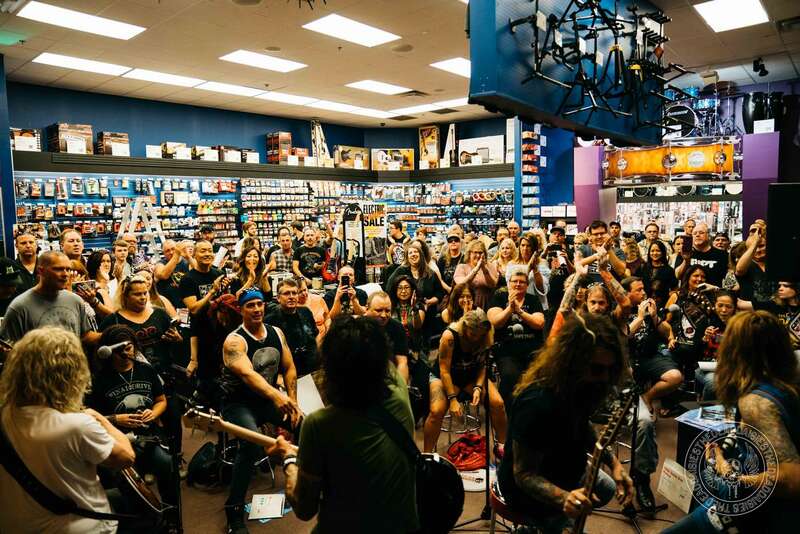 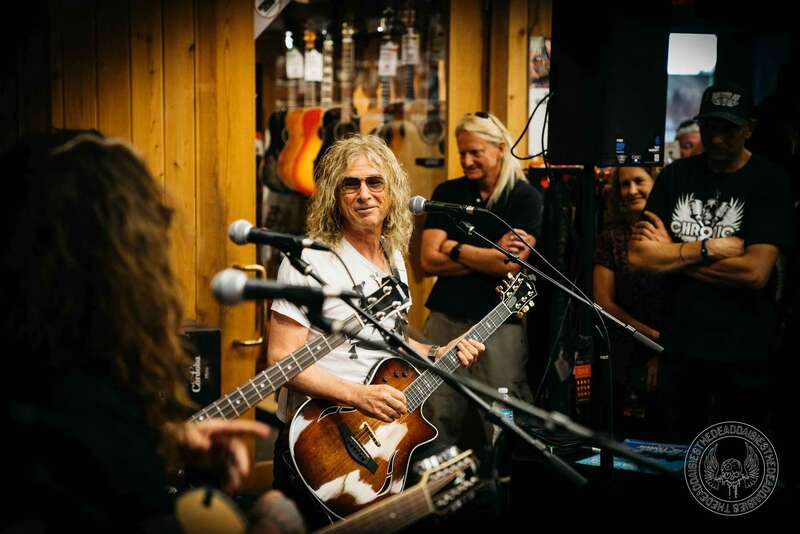 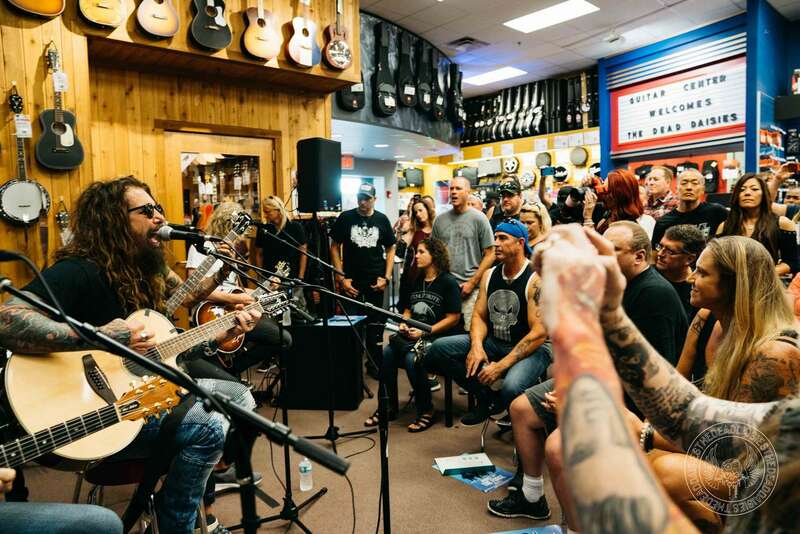 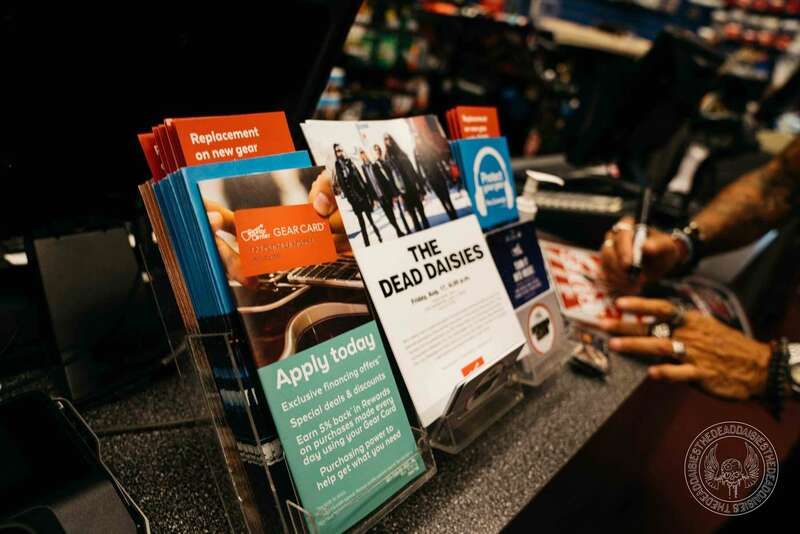 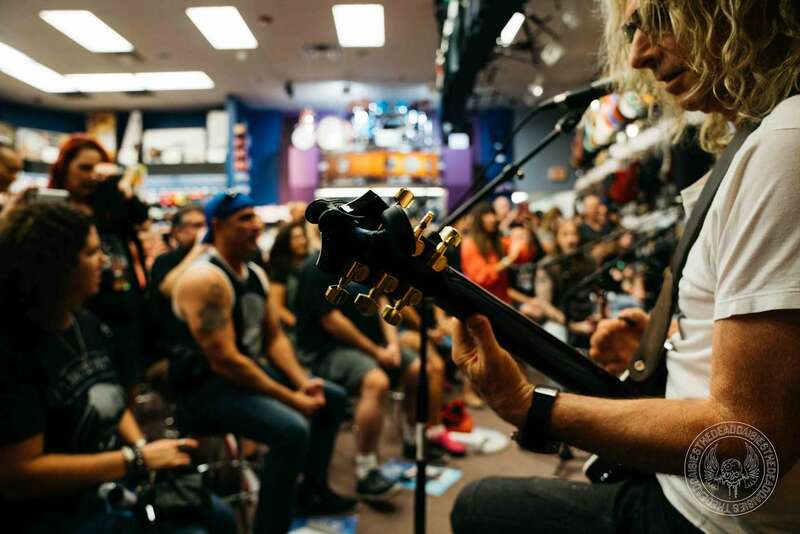 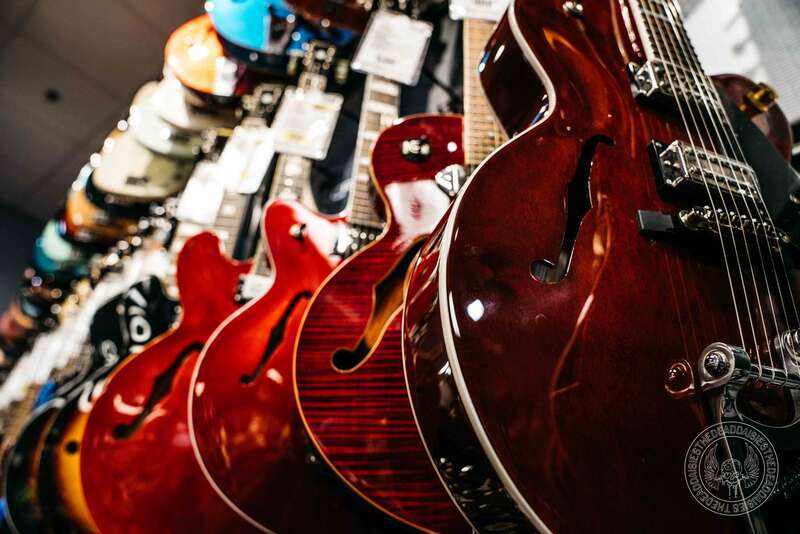 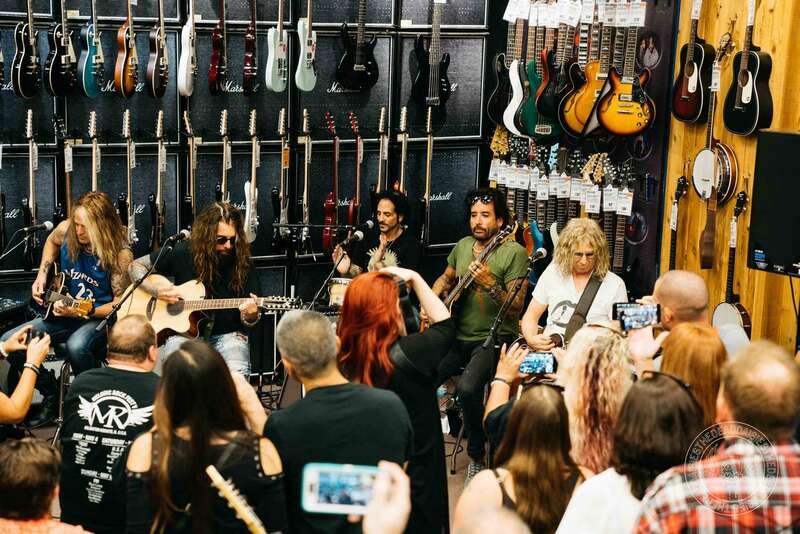 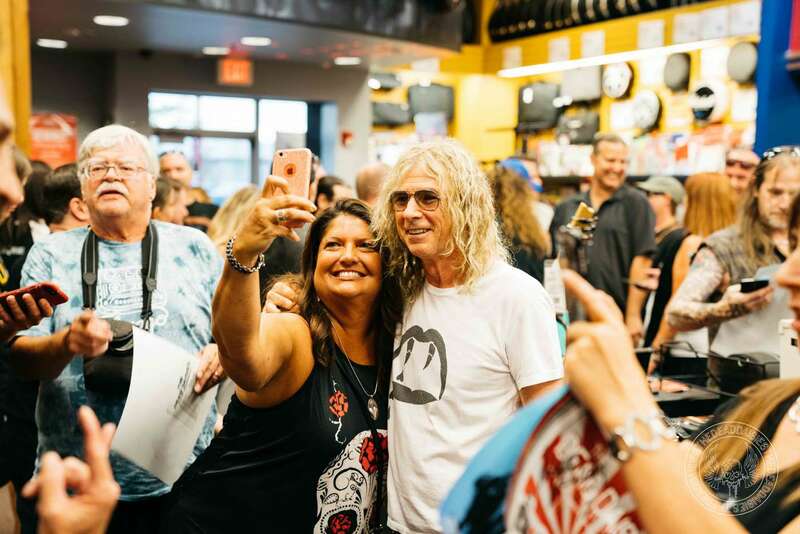 Kicking off with Daisyland at the local Guitar Center with a capacity crowd, new and old fans alike were treated to an exclusive set of songs by the band played acoustically and with a very different feel to the Rock show later that evening. 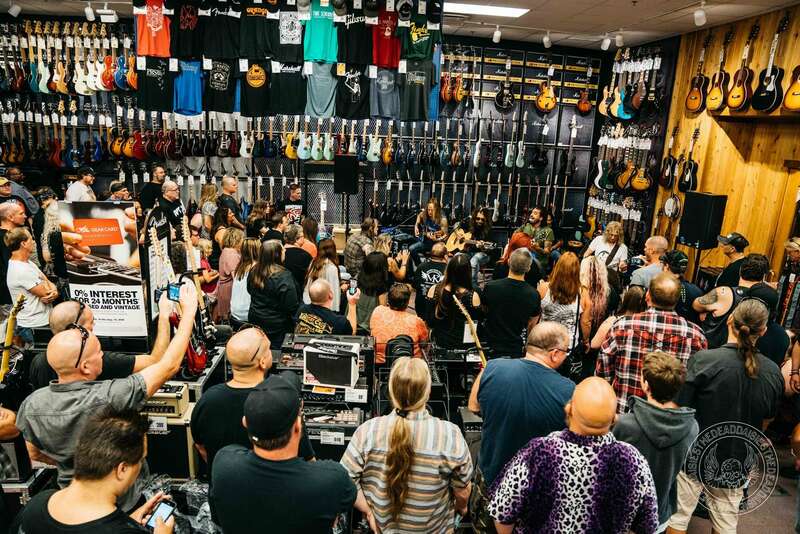 The vibe of these smaller crowds really allows each band member to display their unique skills and connect with the audience in an even more personal way than before. 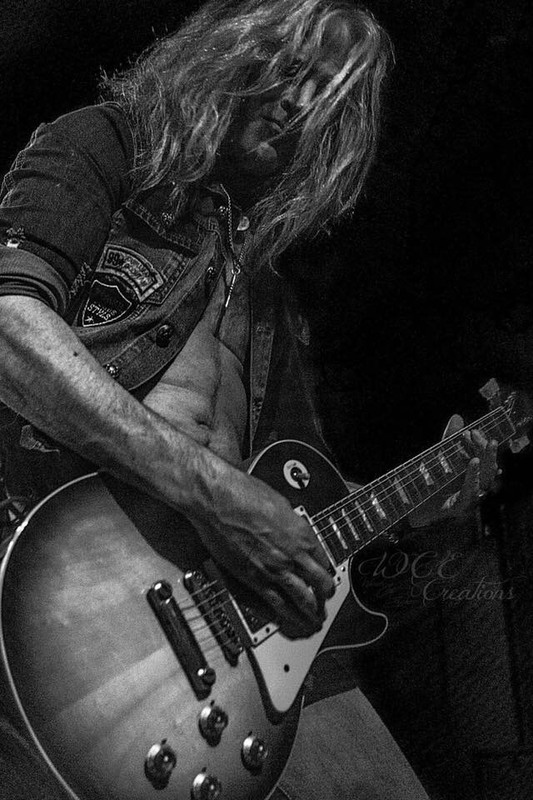 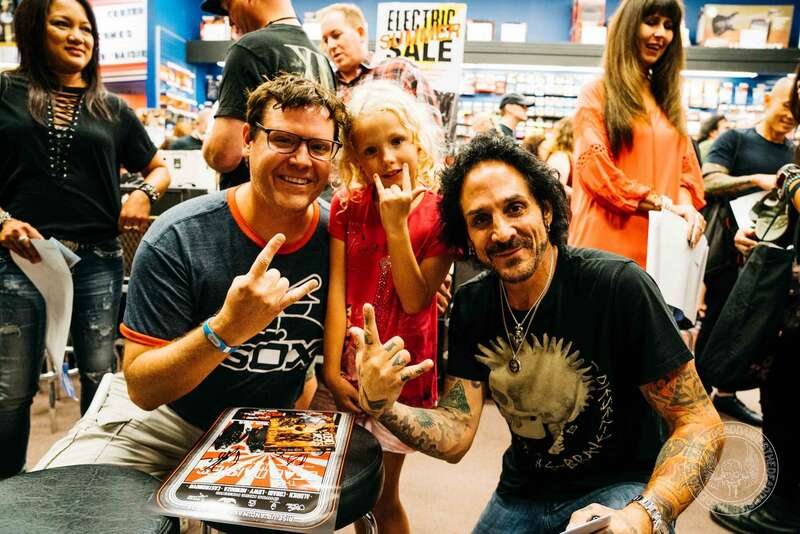 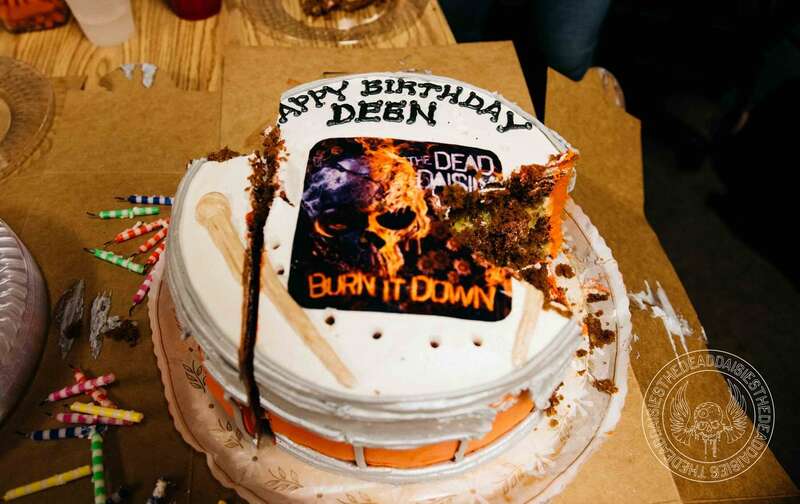 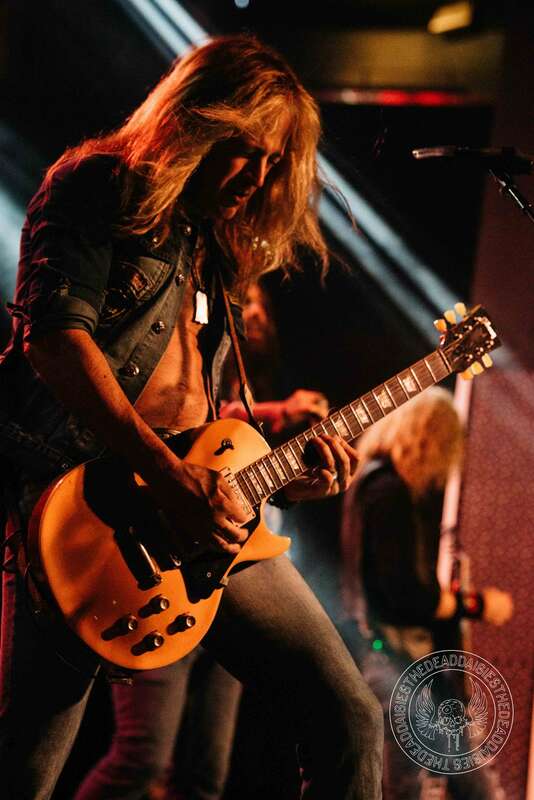 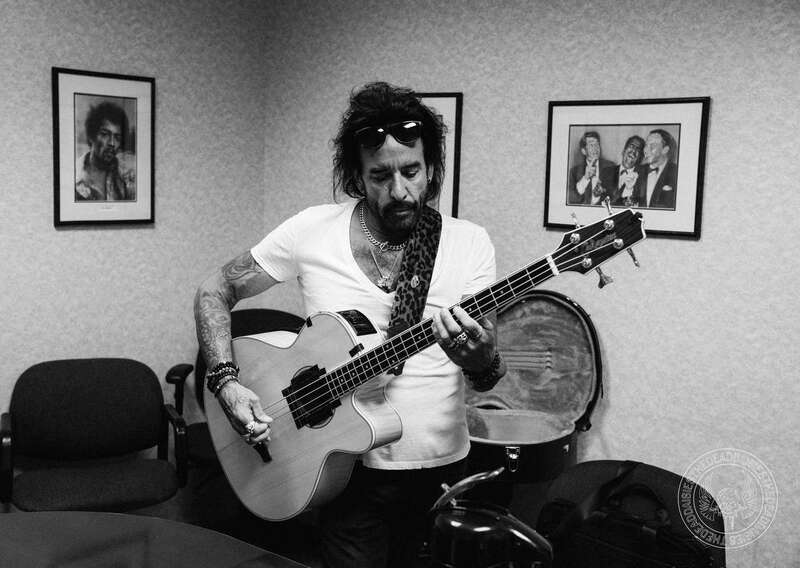 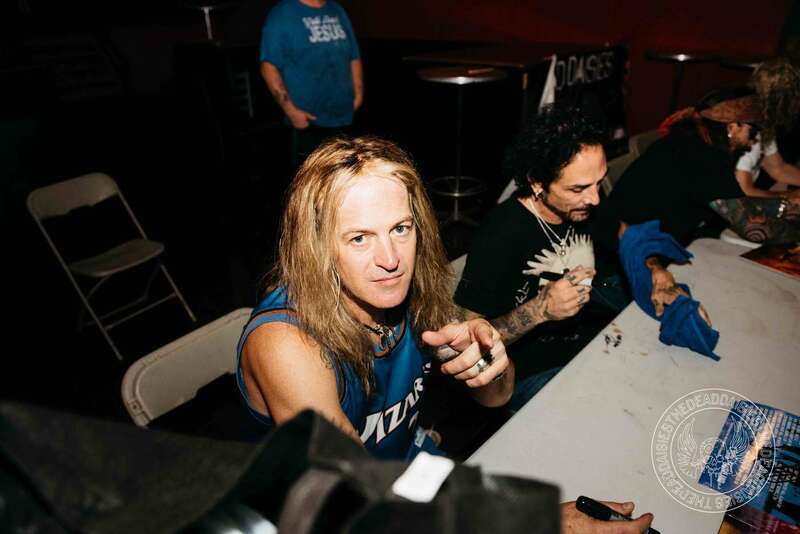 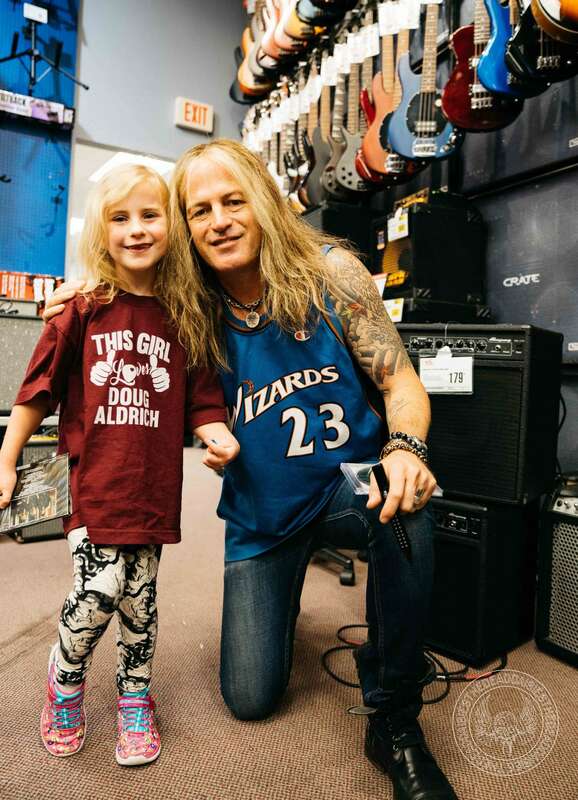 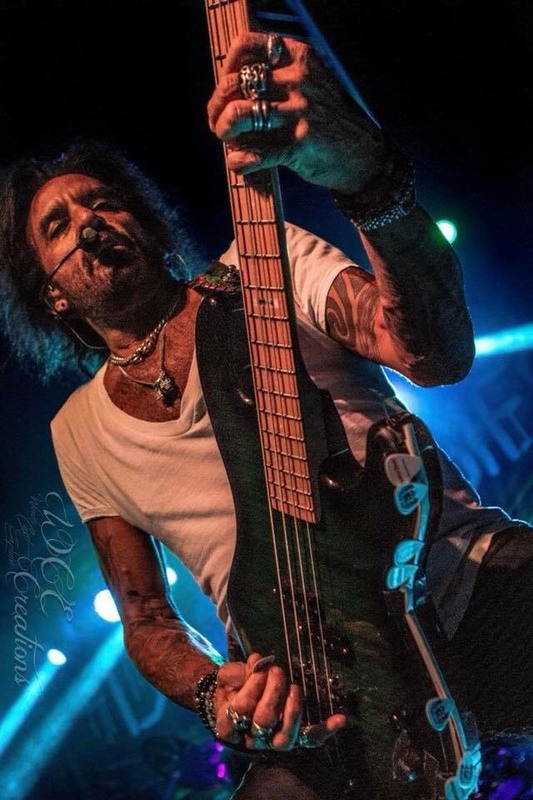 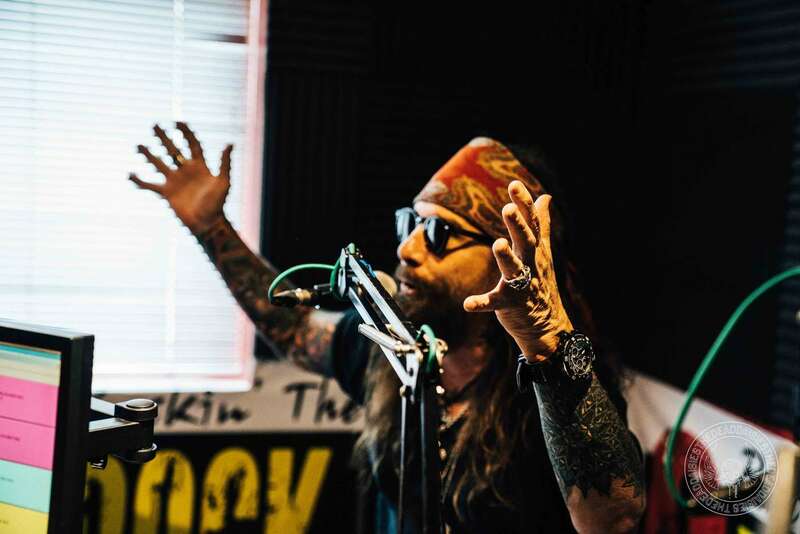 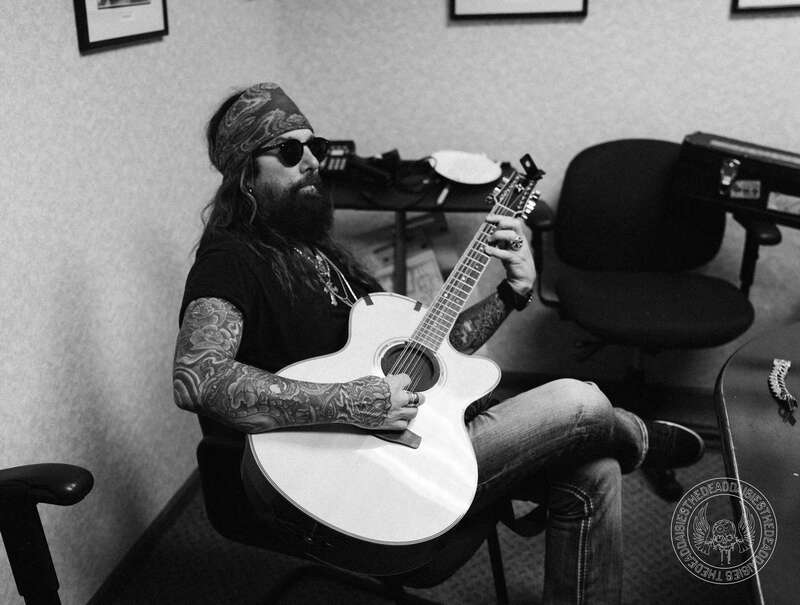 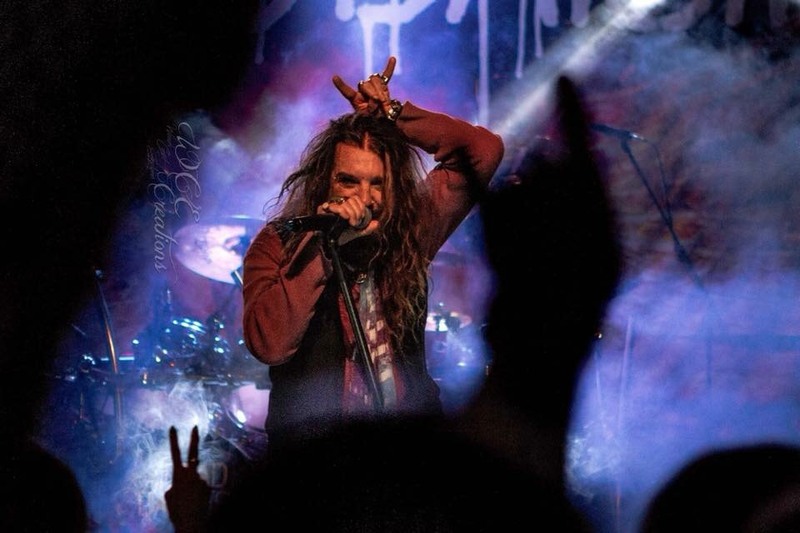 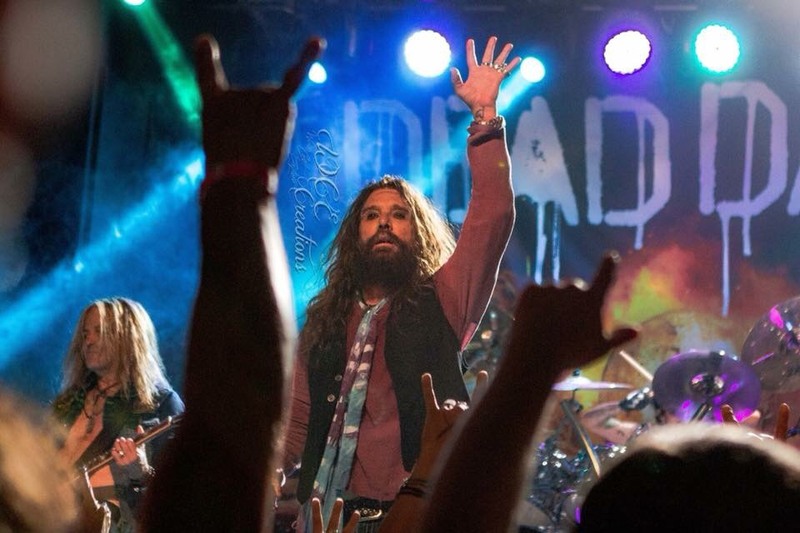 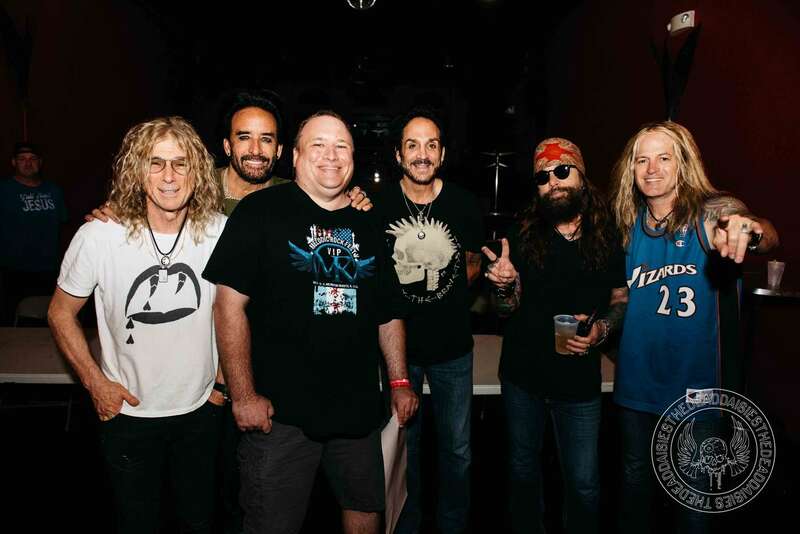 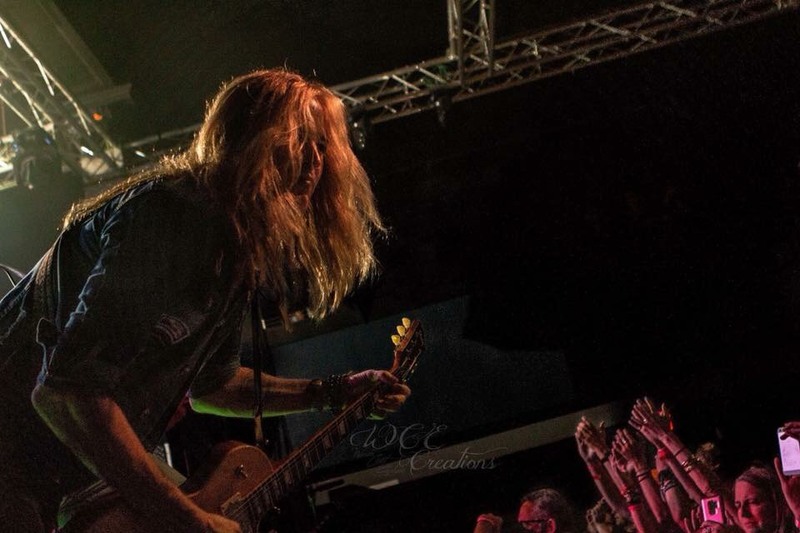 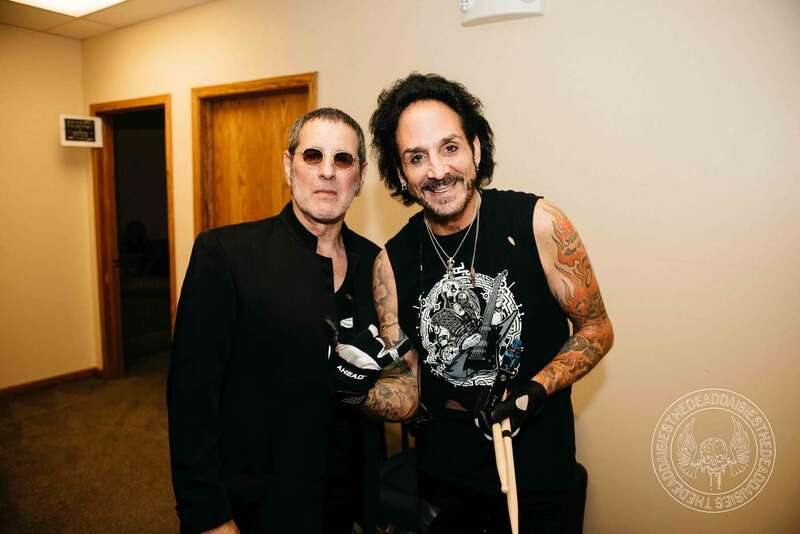 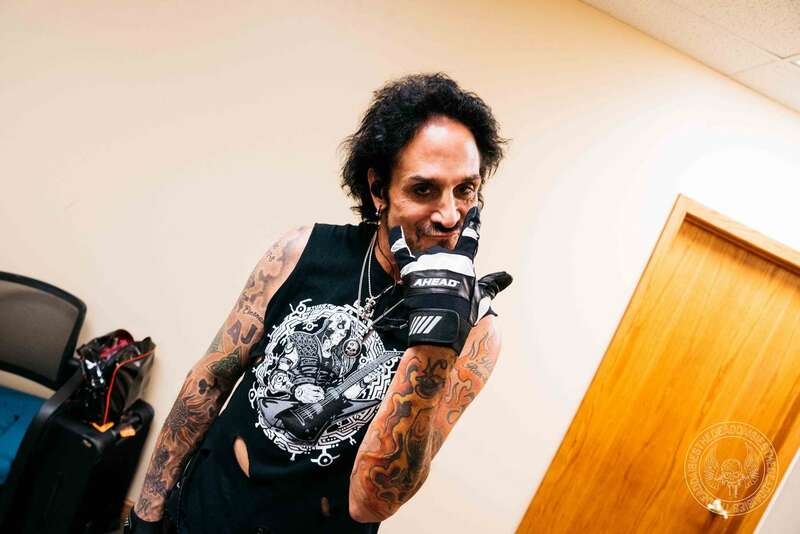 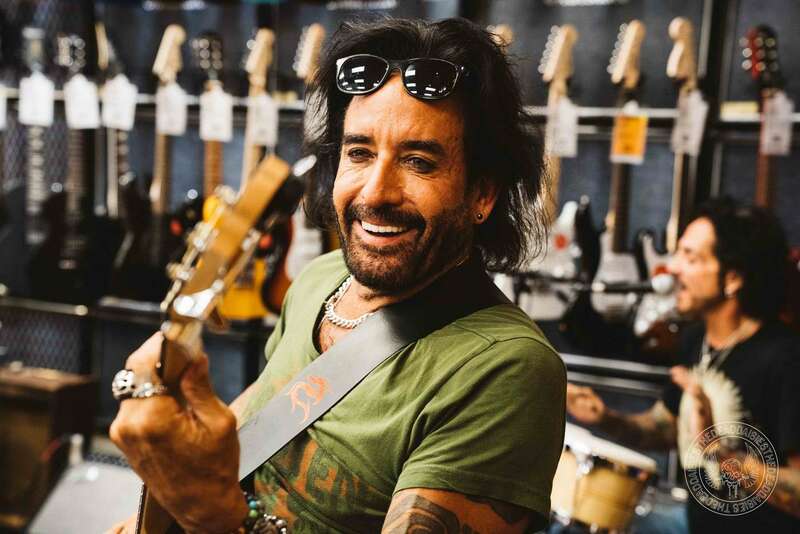 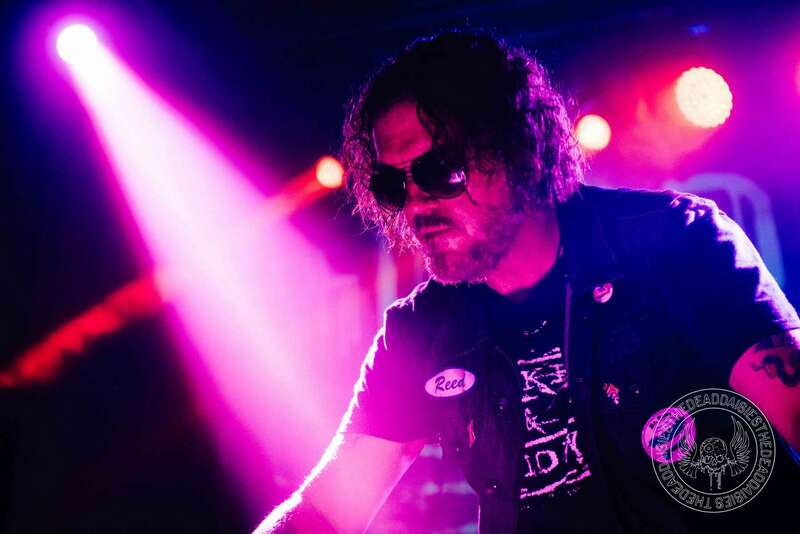 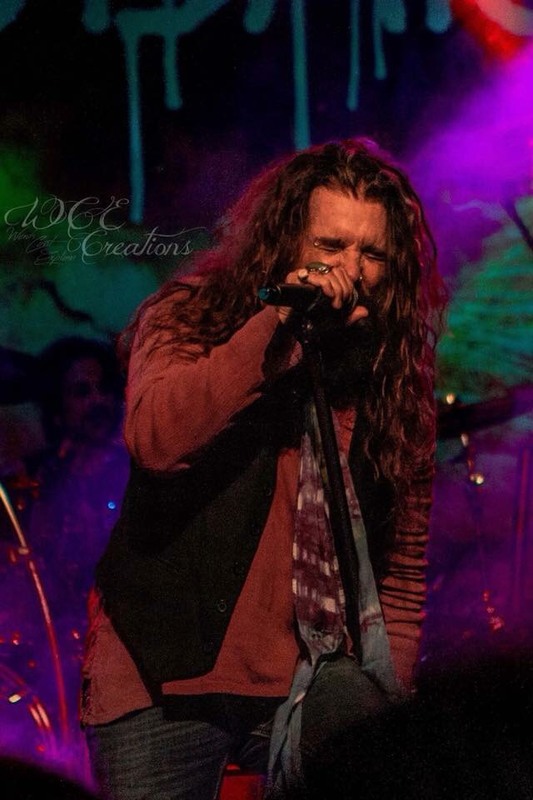 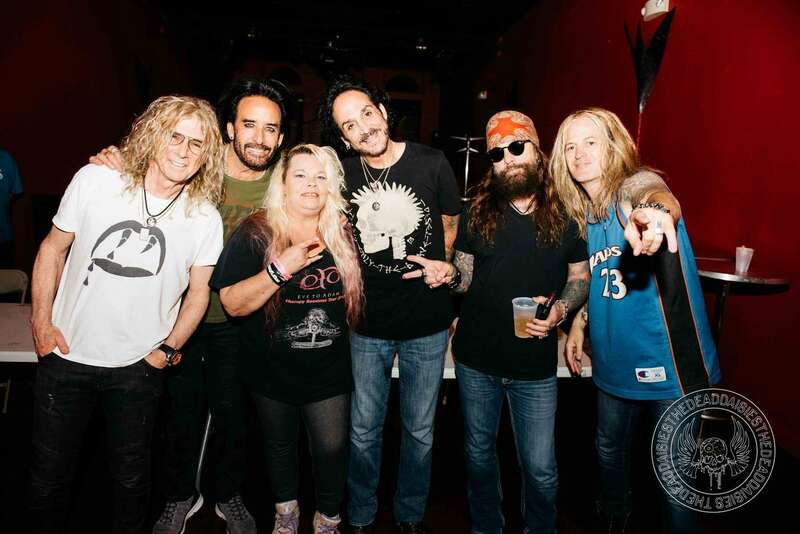 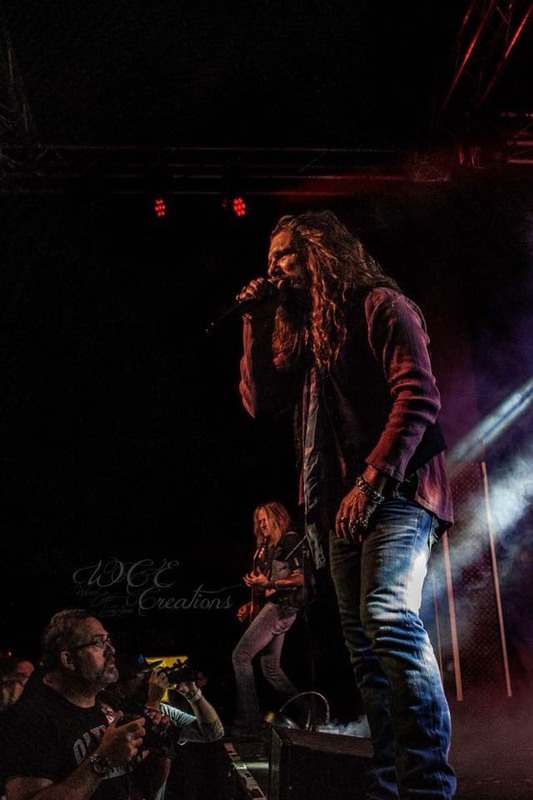 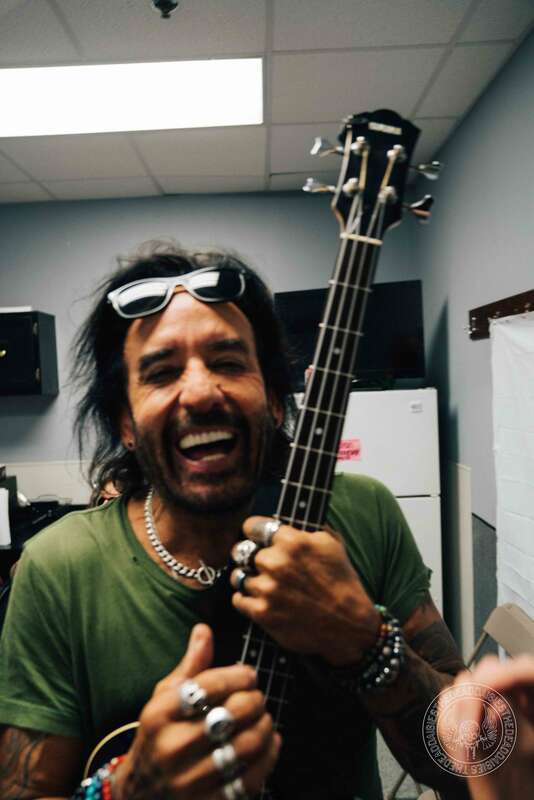 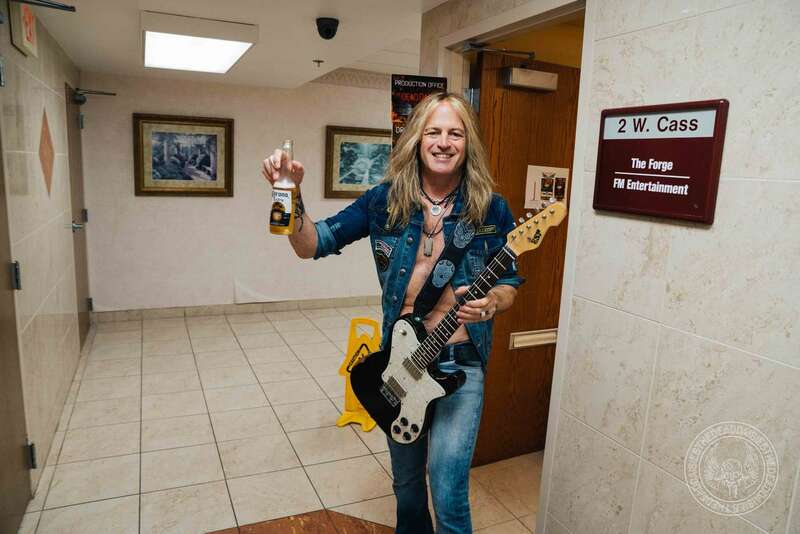 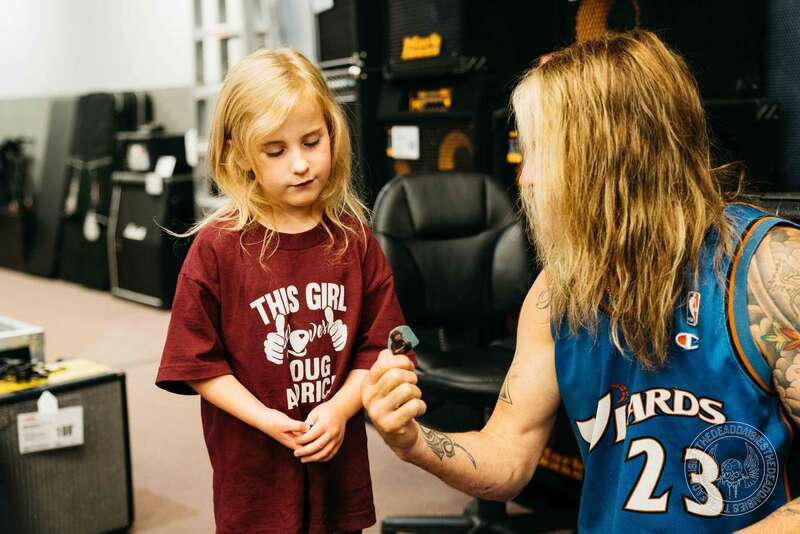 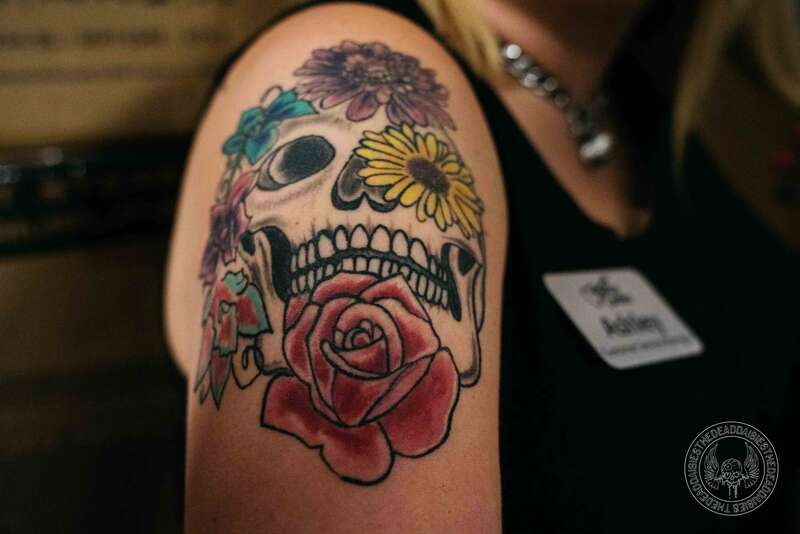 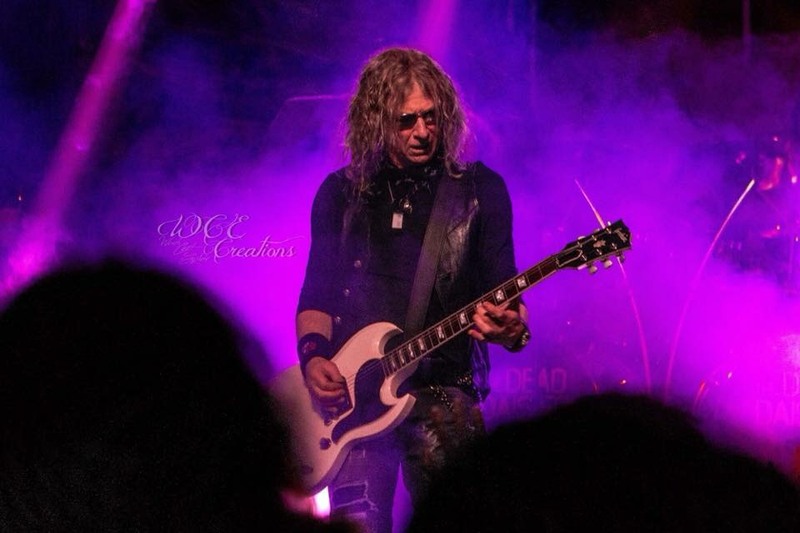 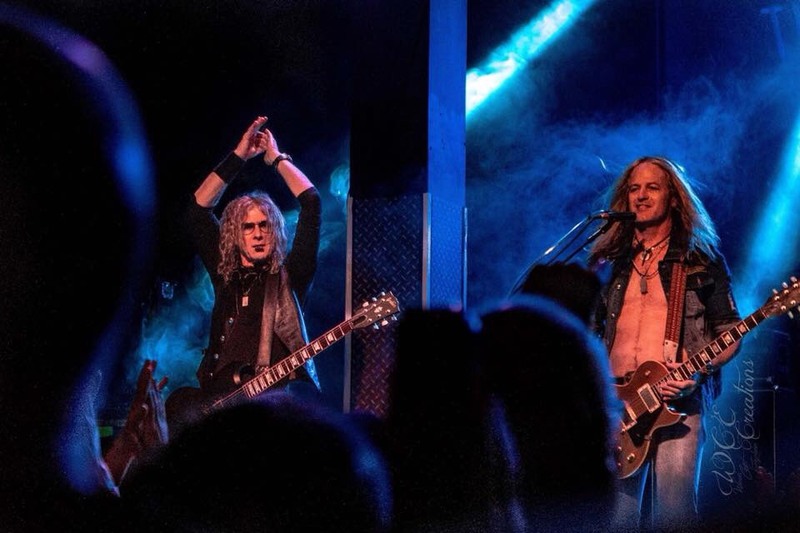 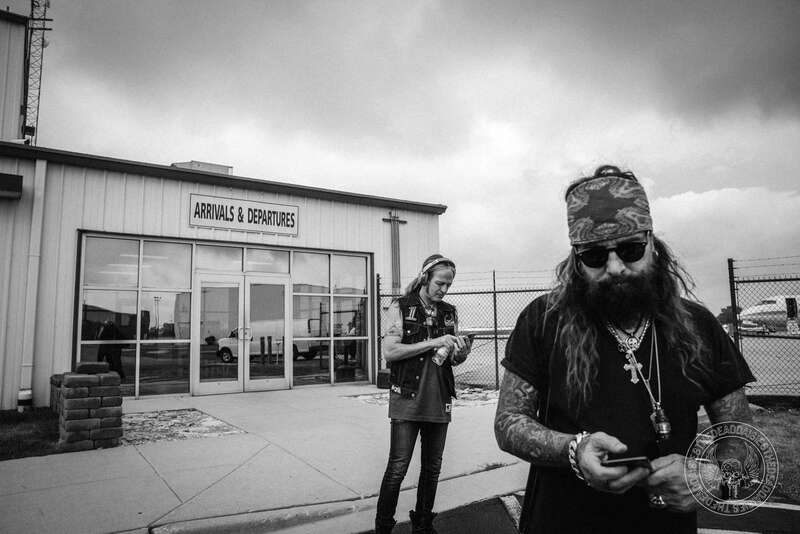 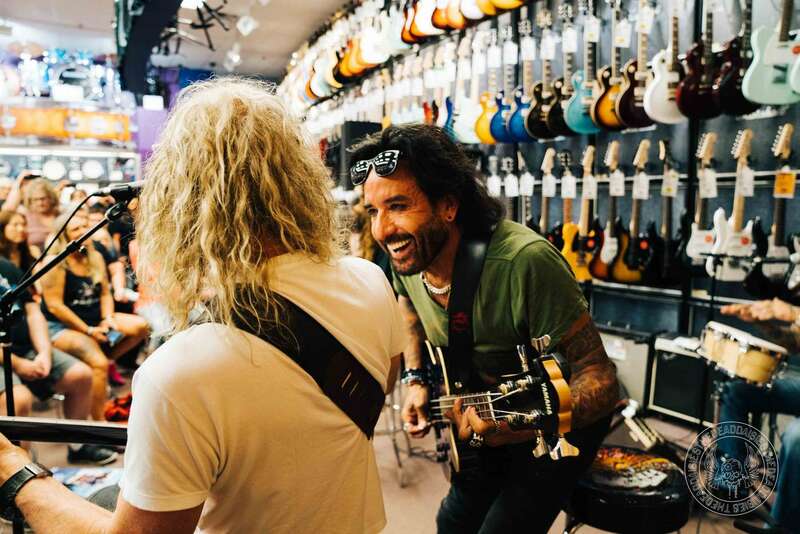 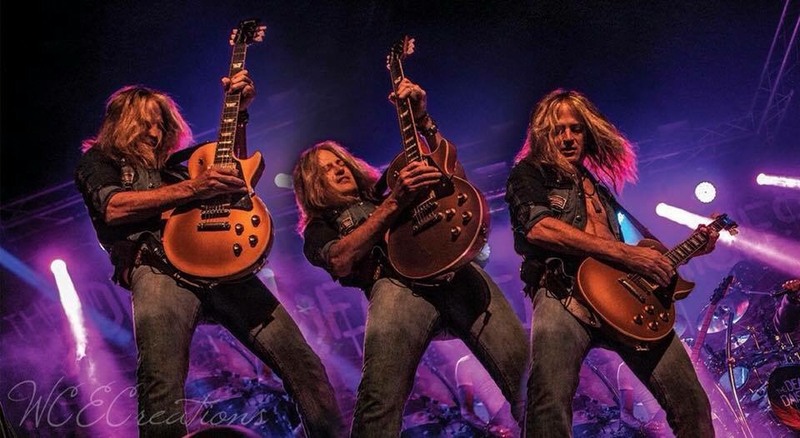 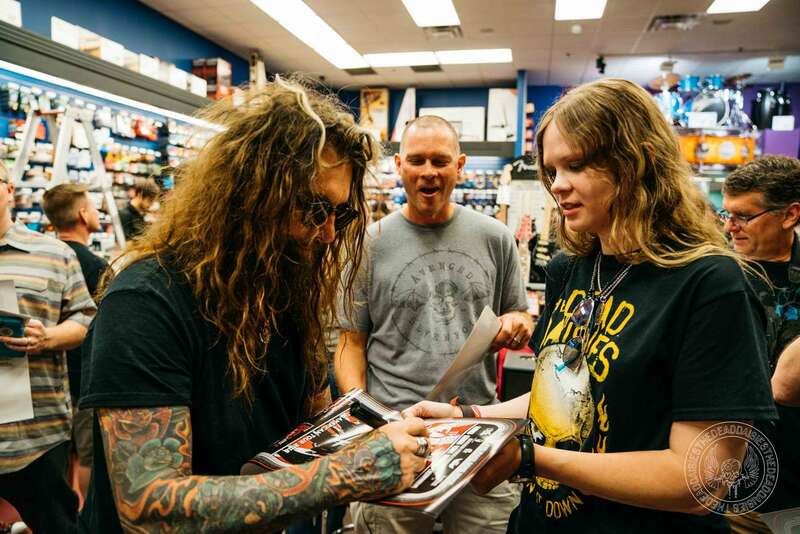 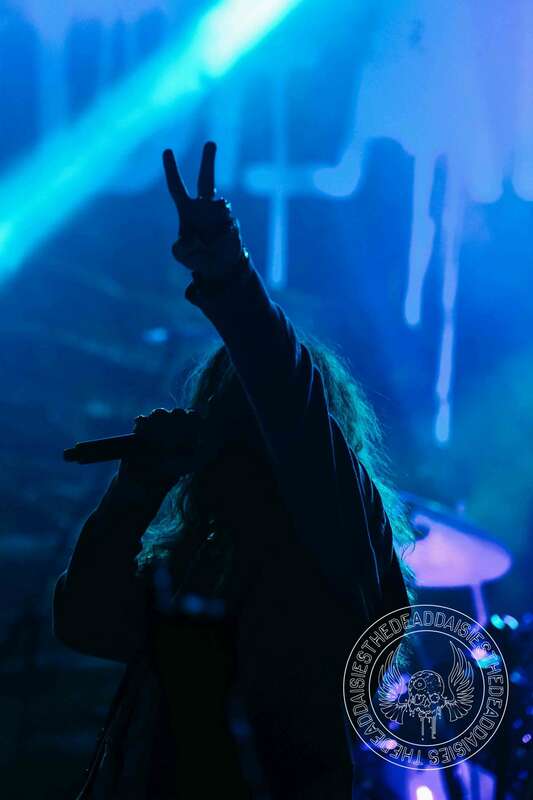 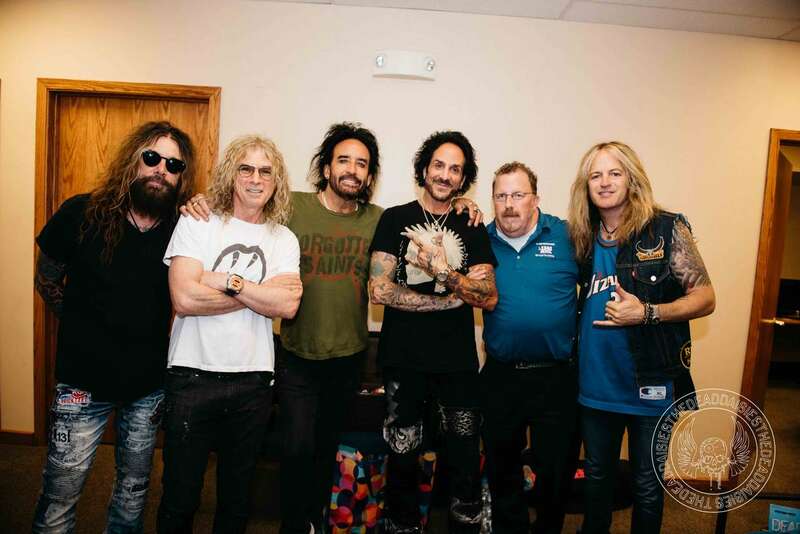 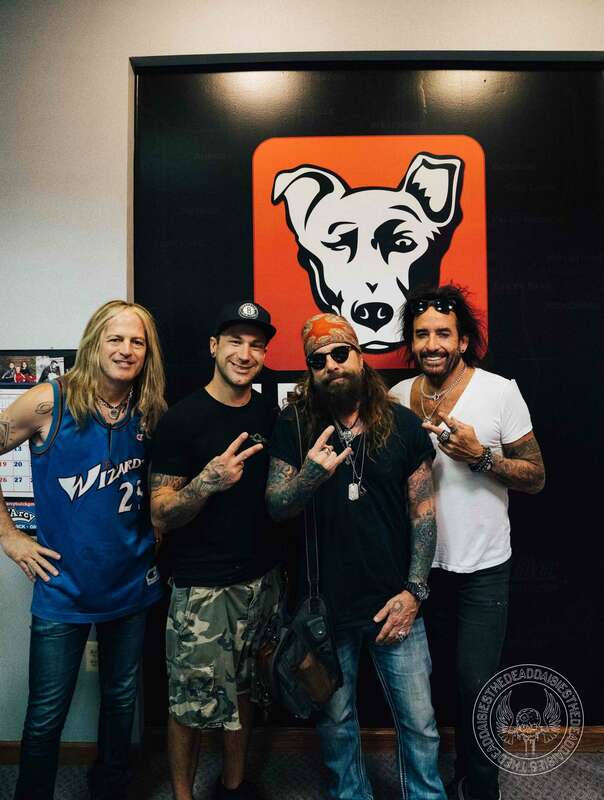 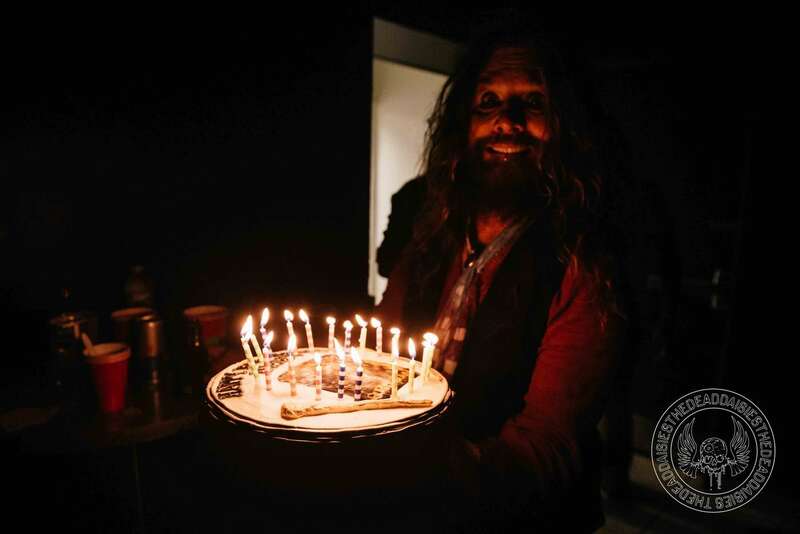 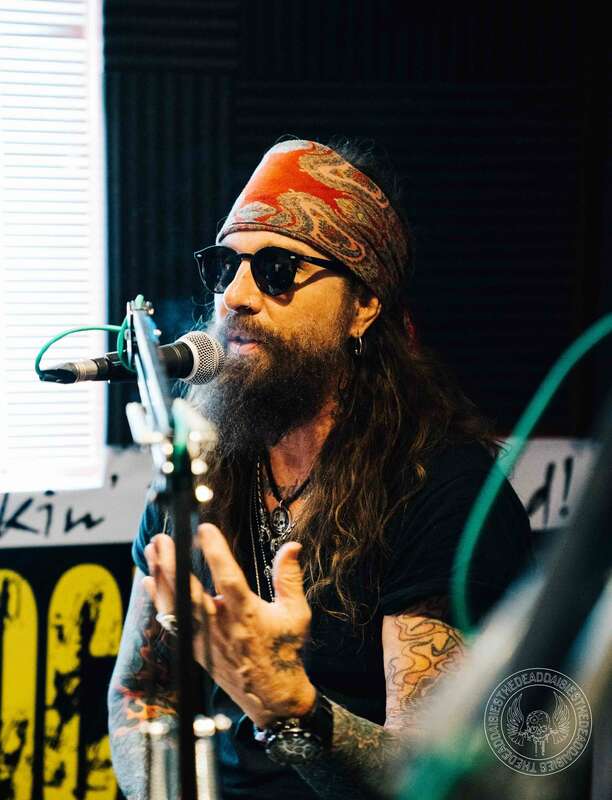 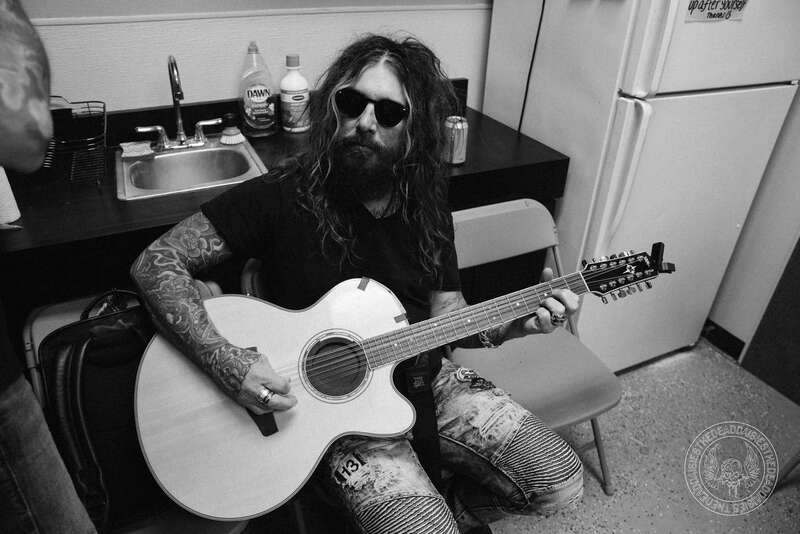 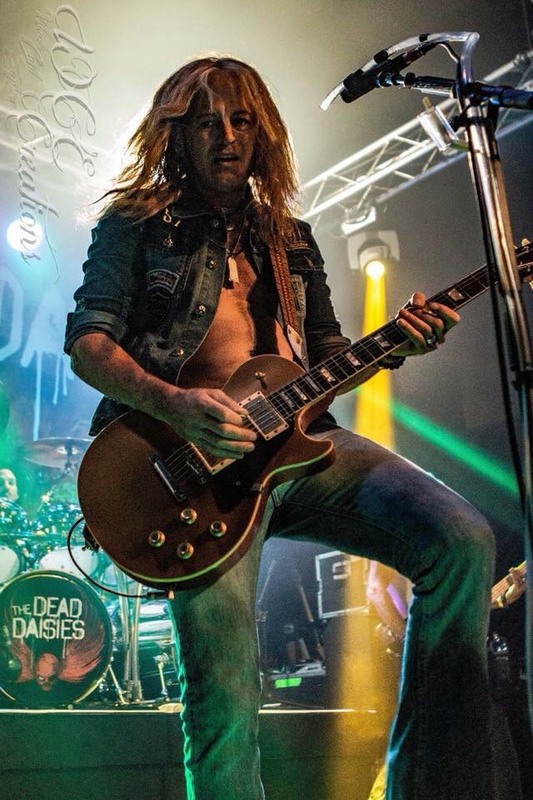 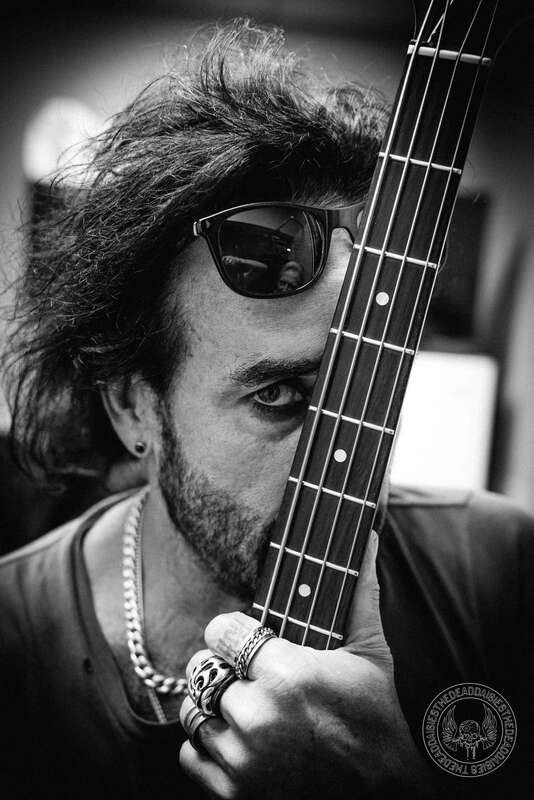 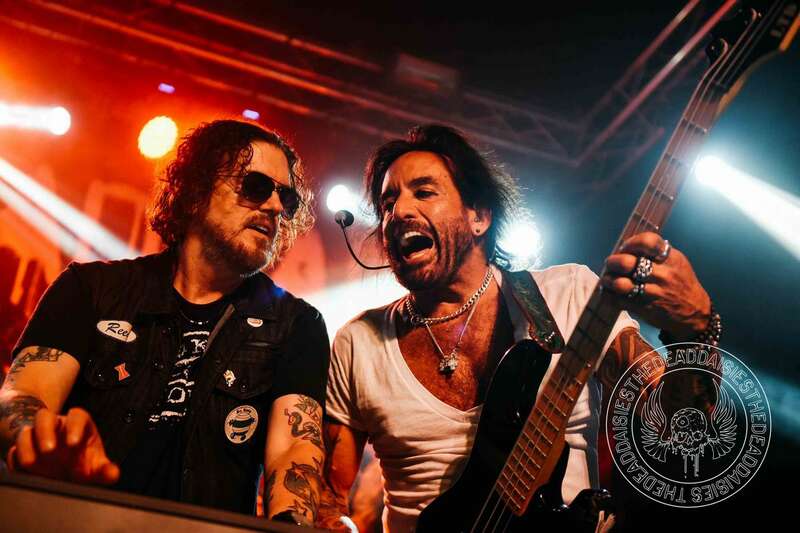 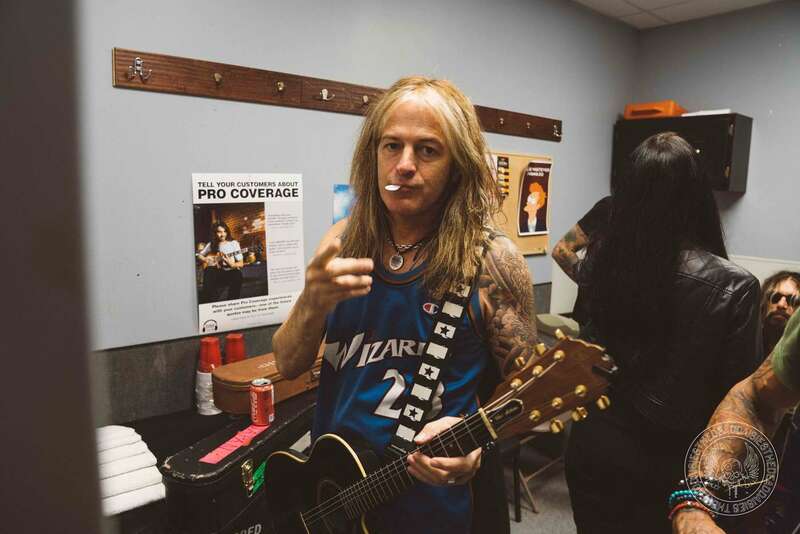 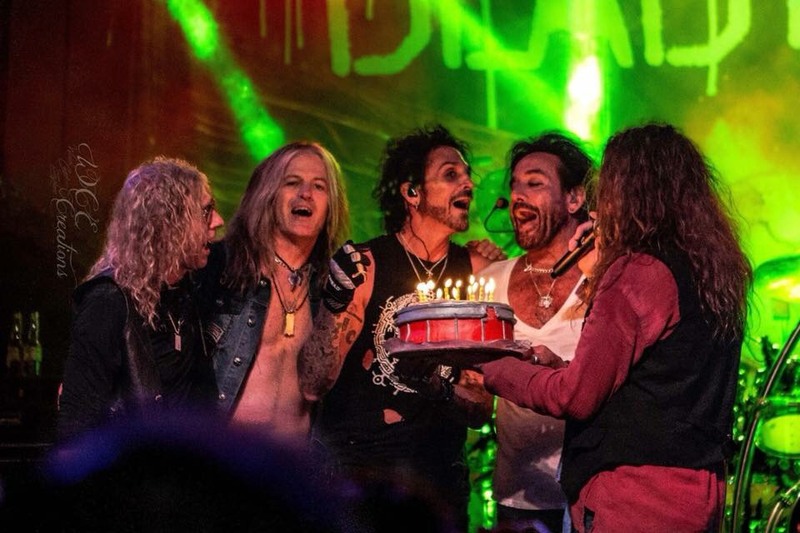 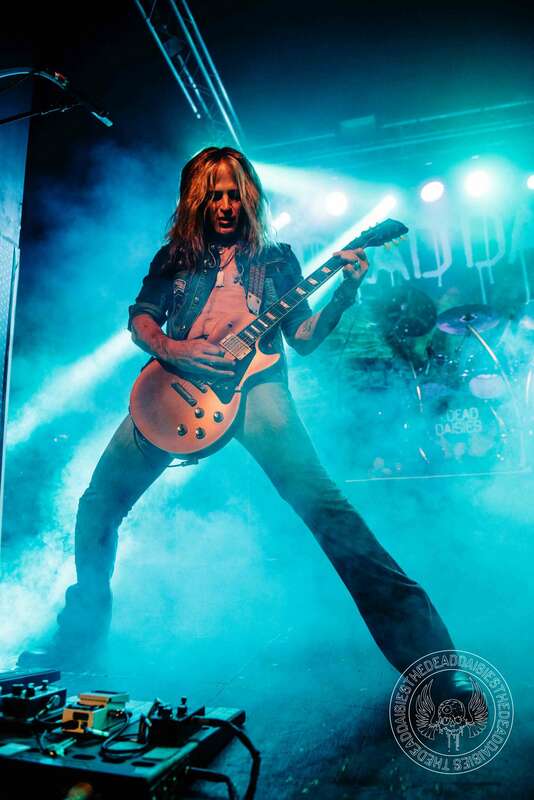 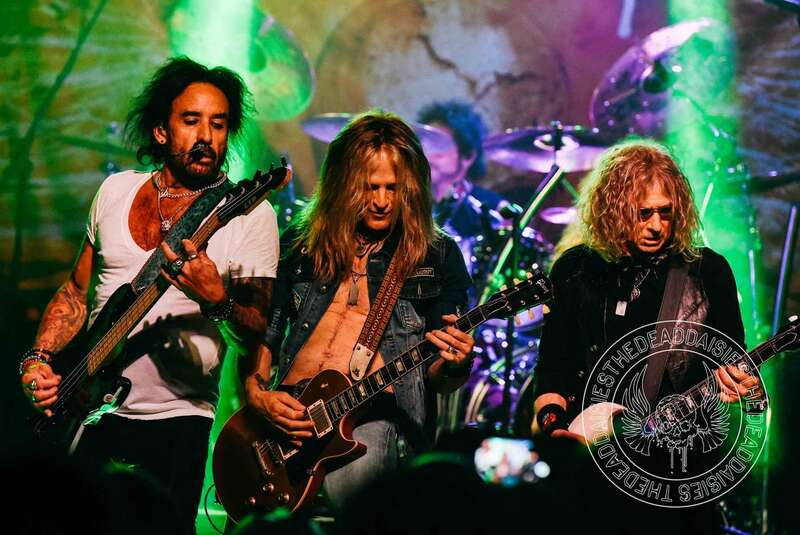 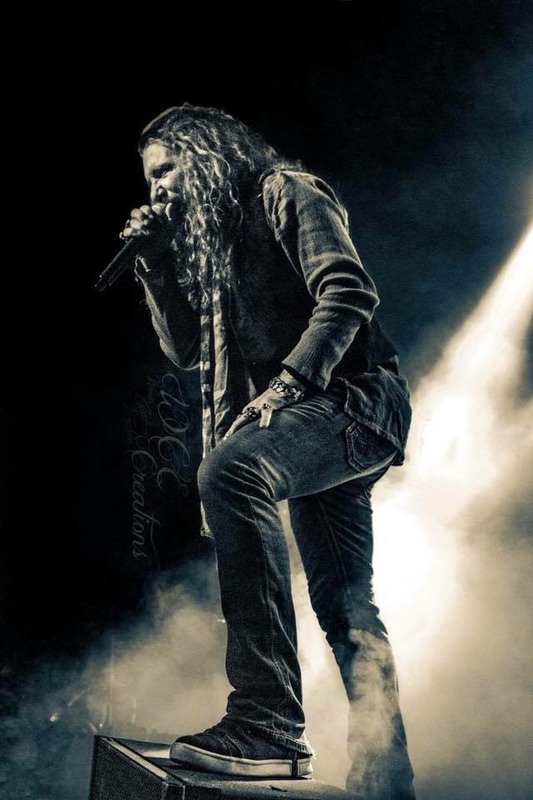 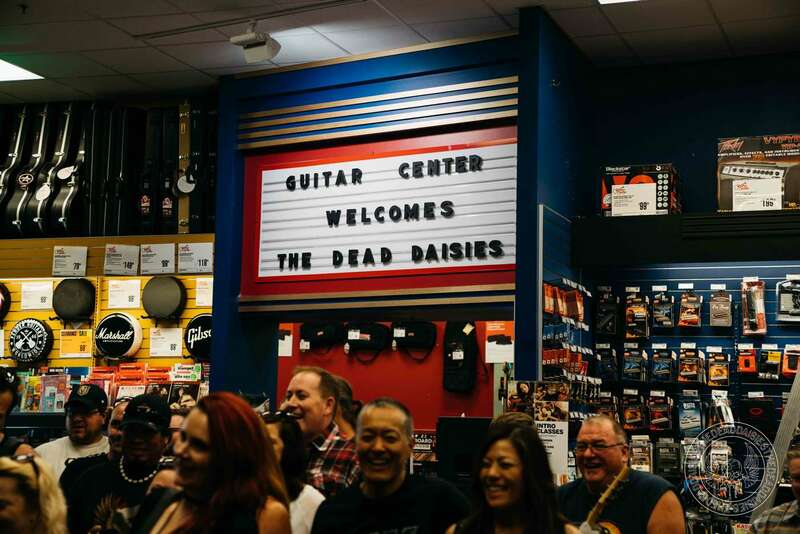 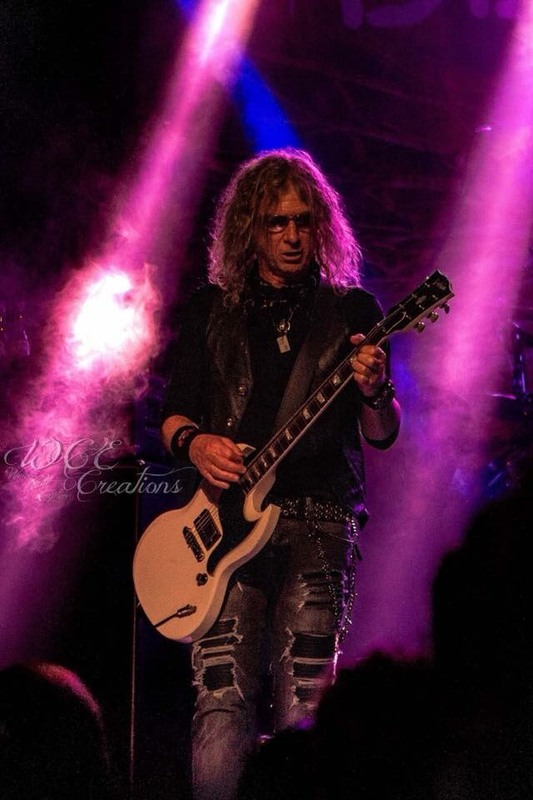 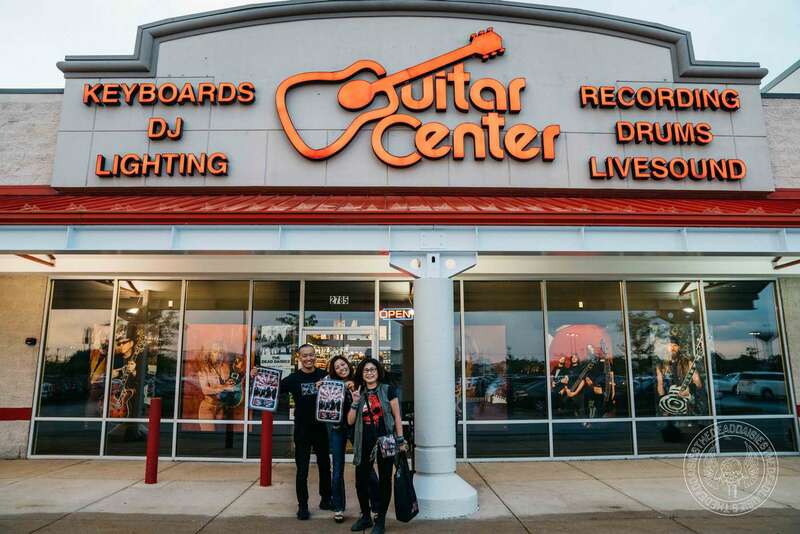 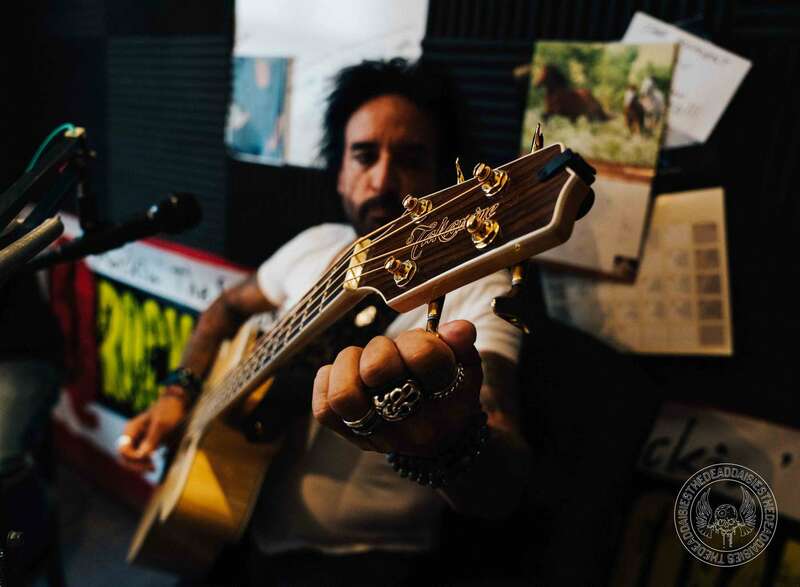 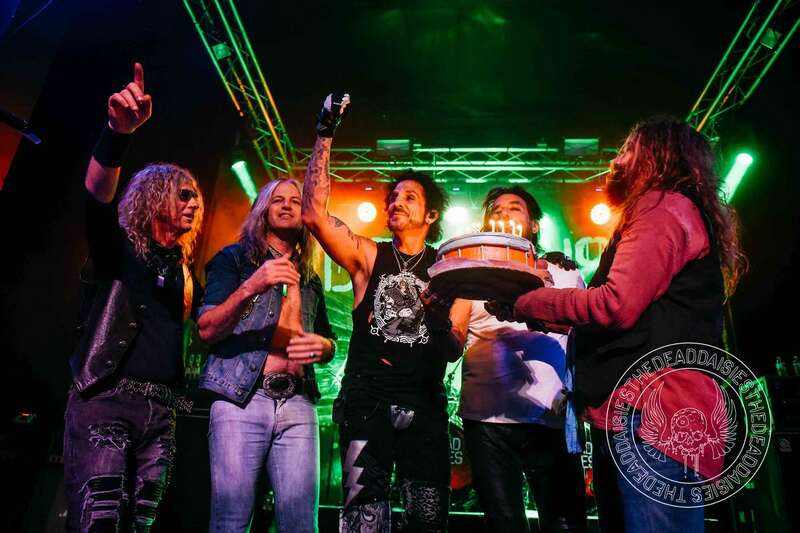 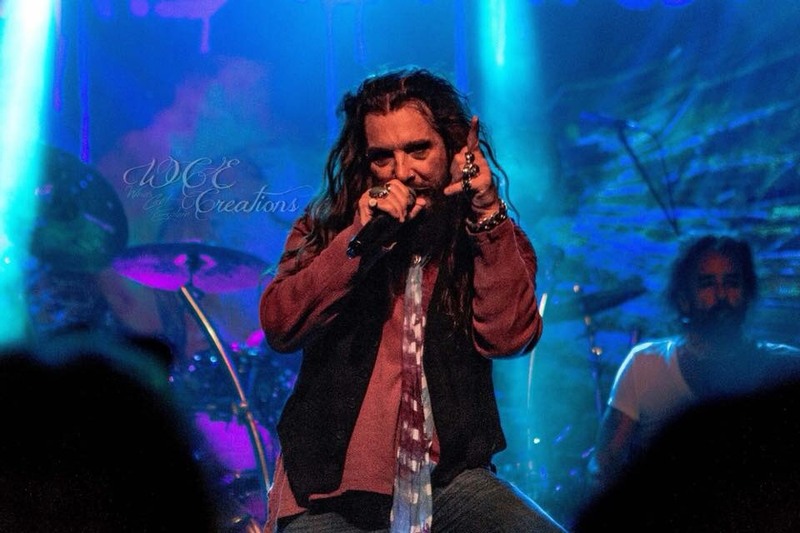 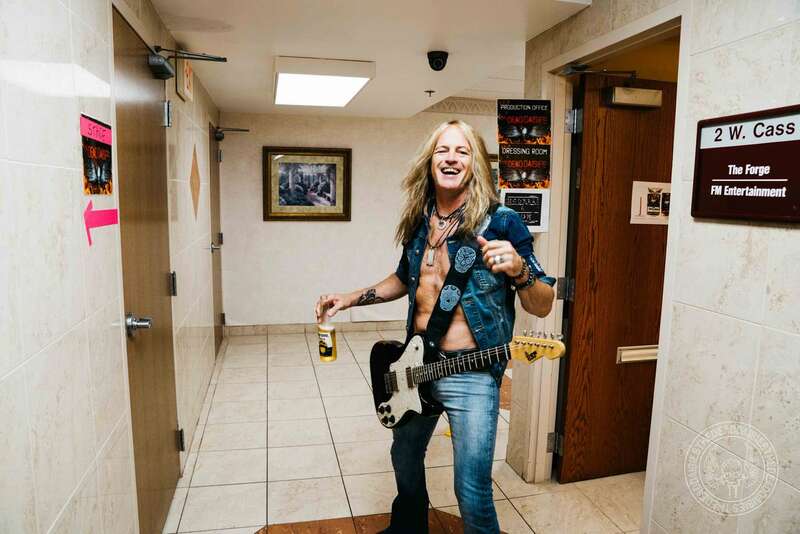 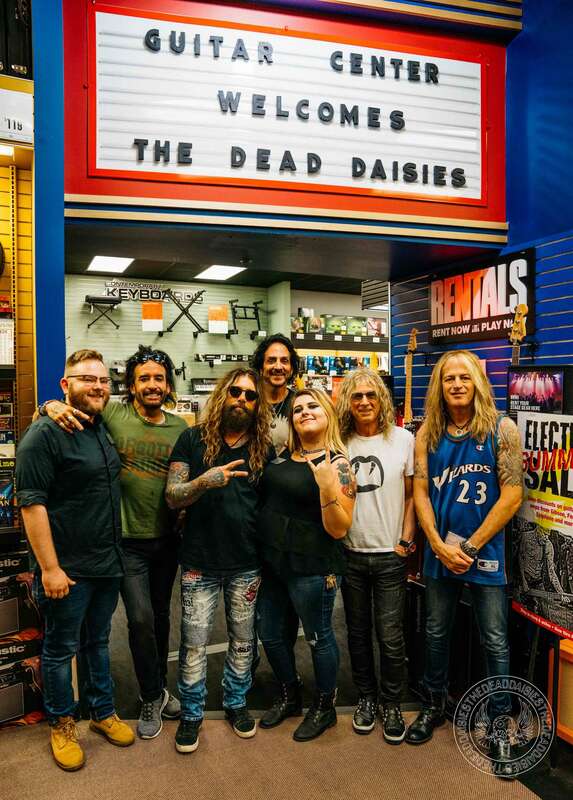 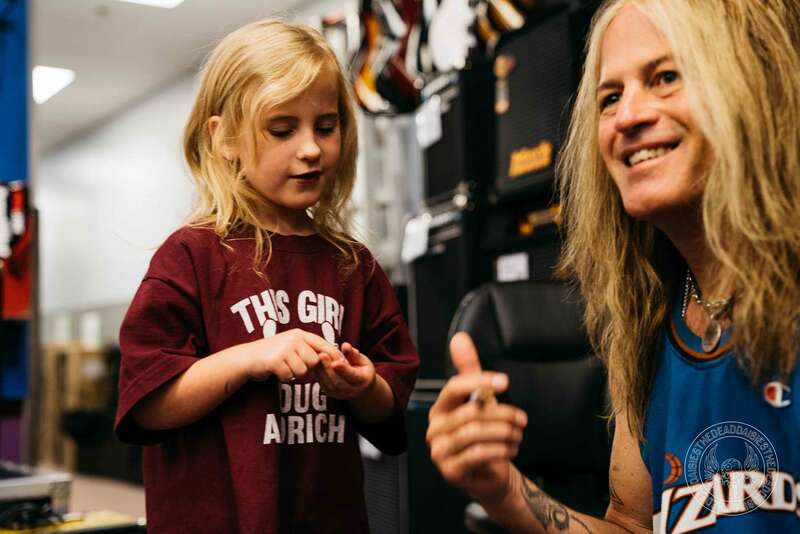 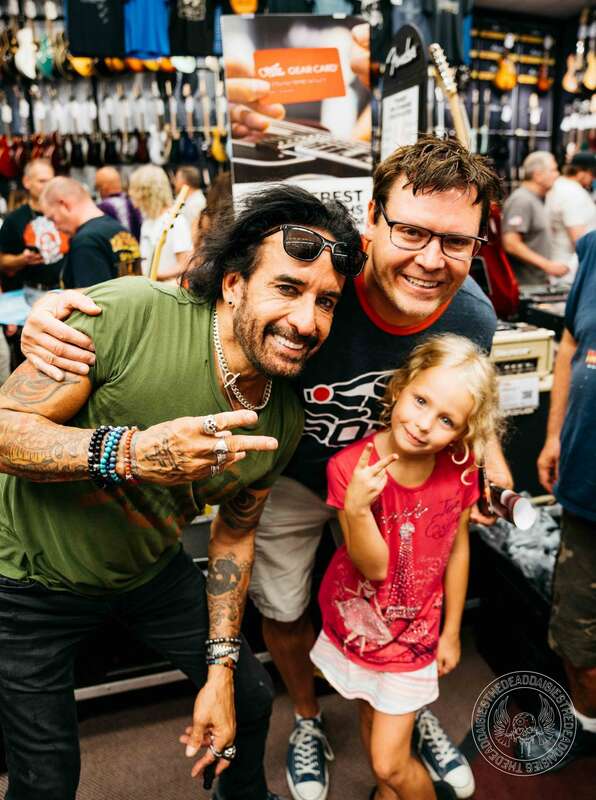 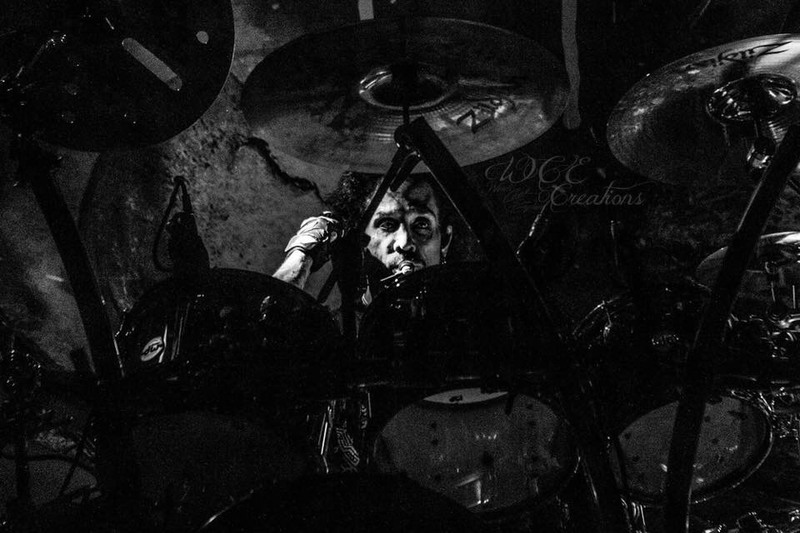 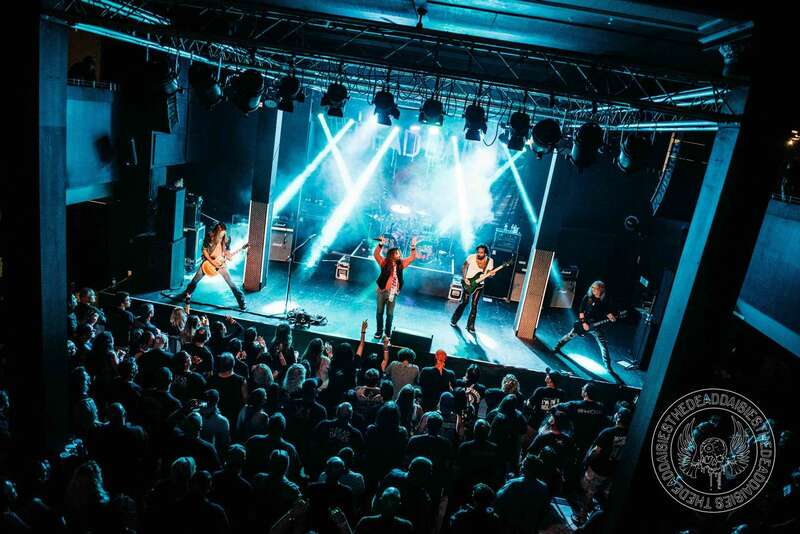 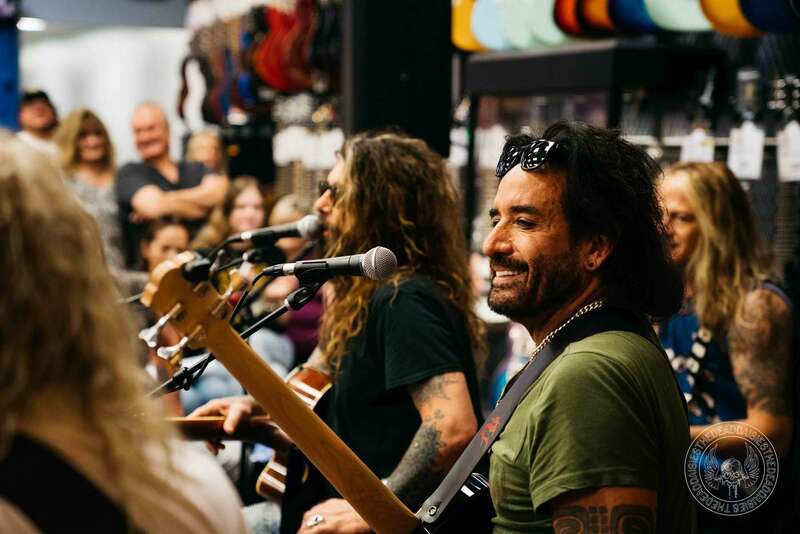 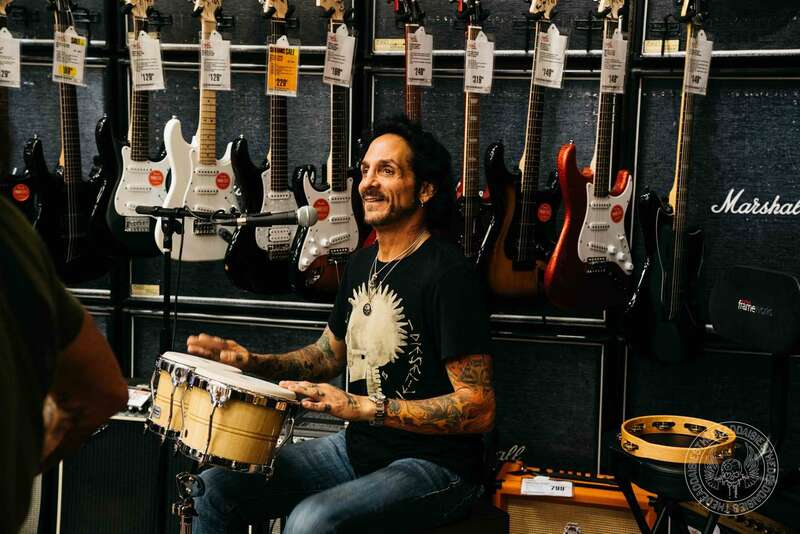 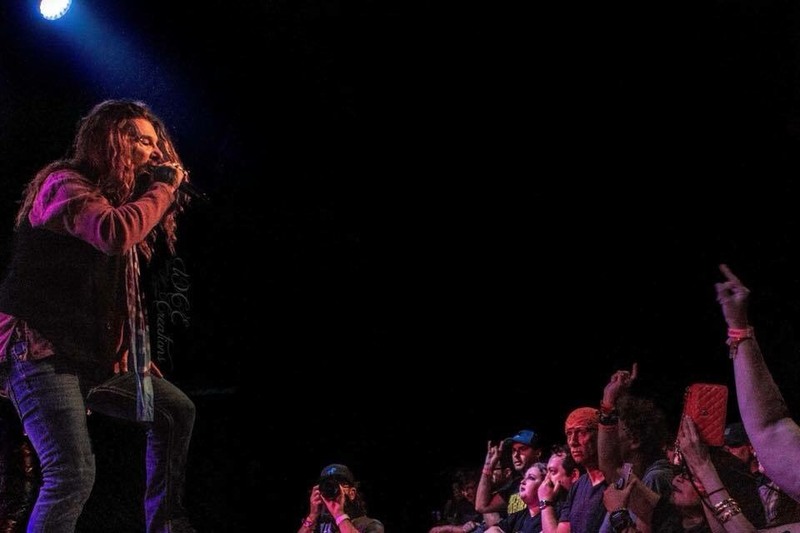 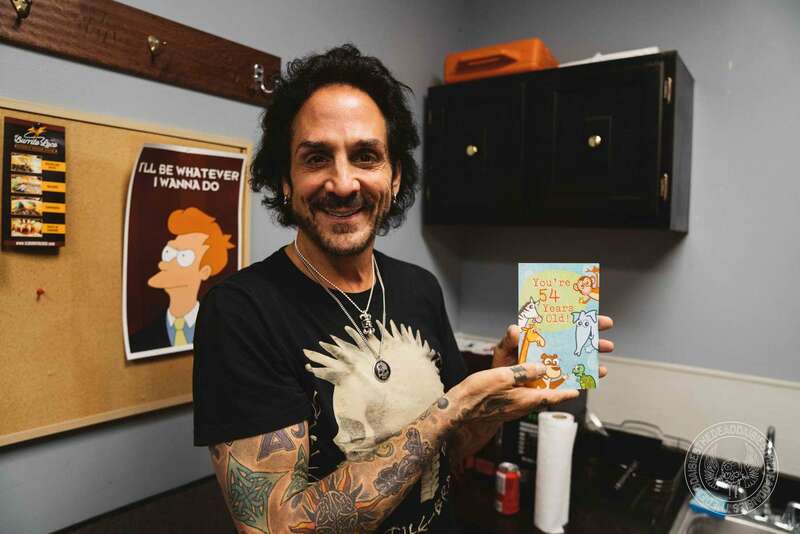 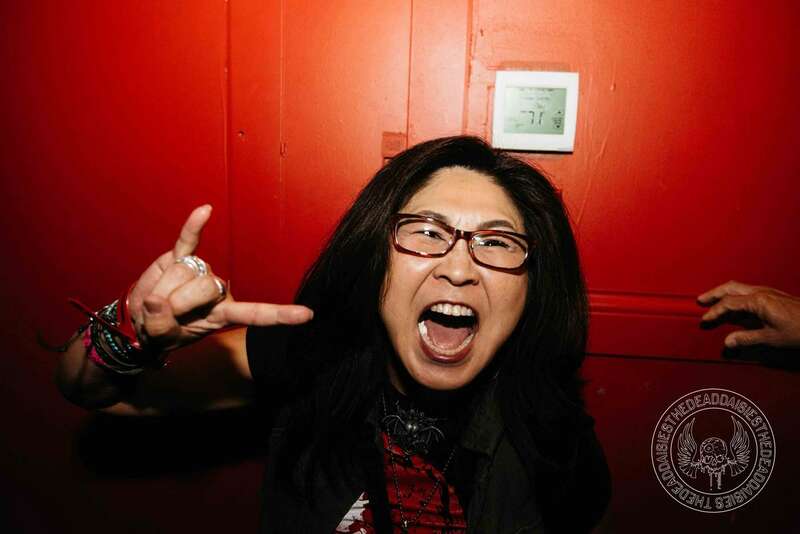 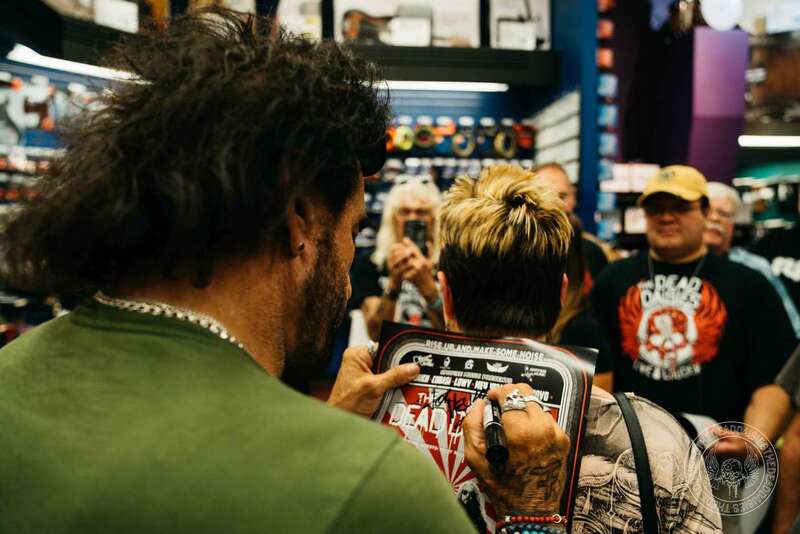 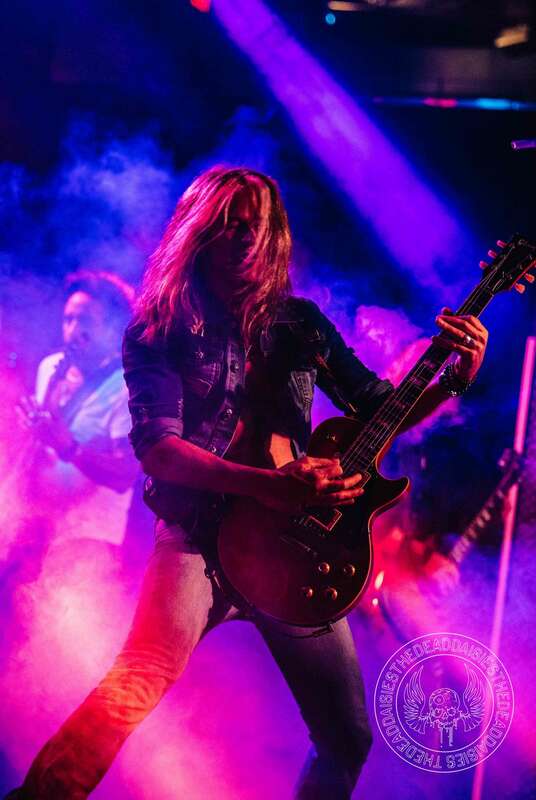 The Forge venue in Joliet has seen some well-known Rock acts pass through its doors over the years, and tonight it was The Dead Daisies’ turn. 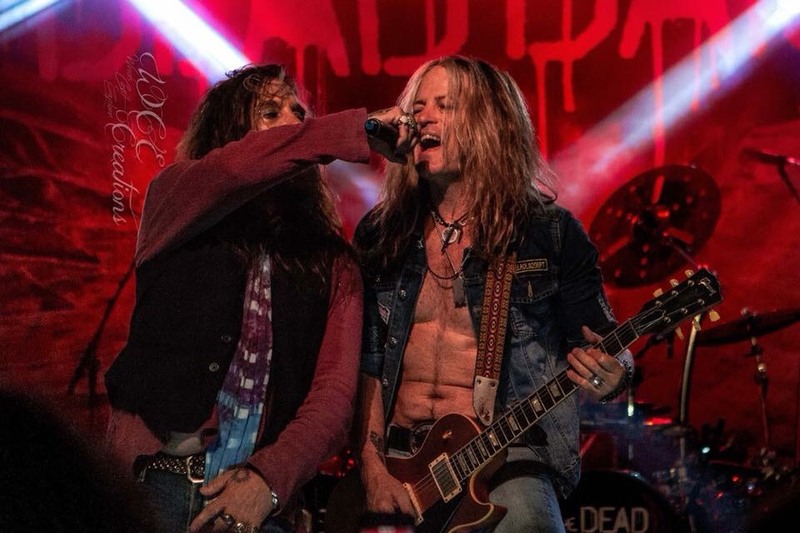 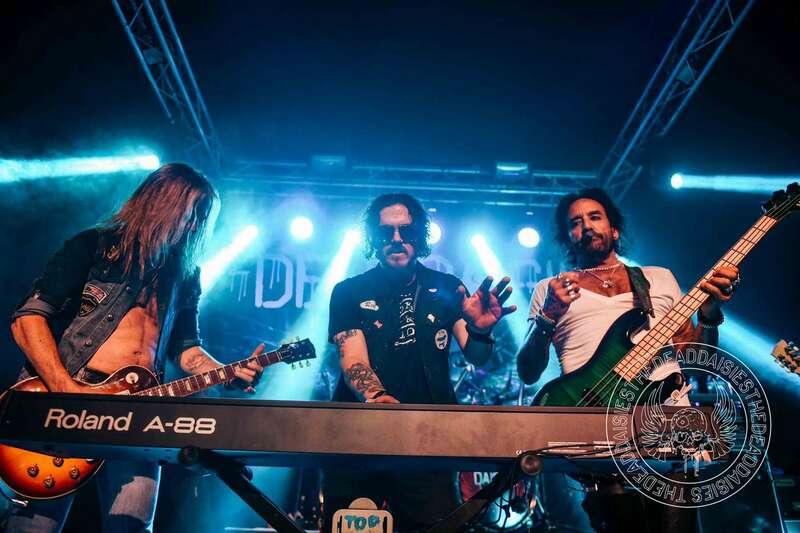 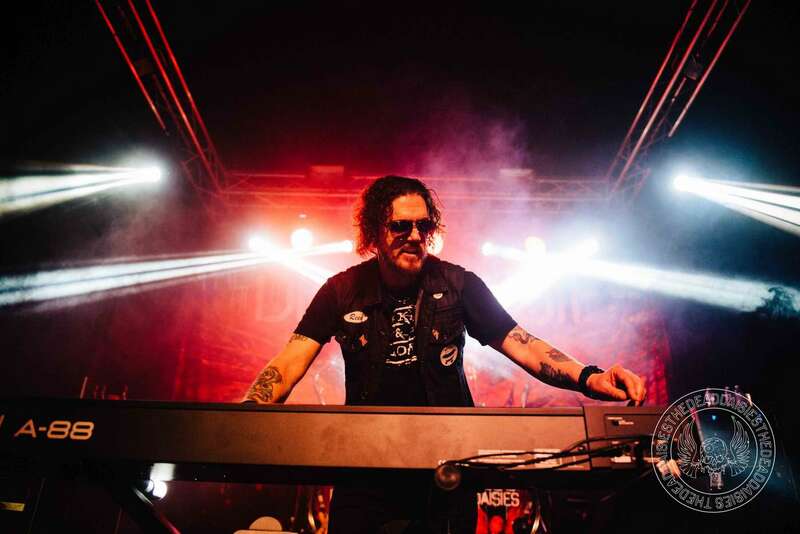 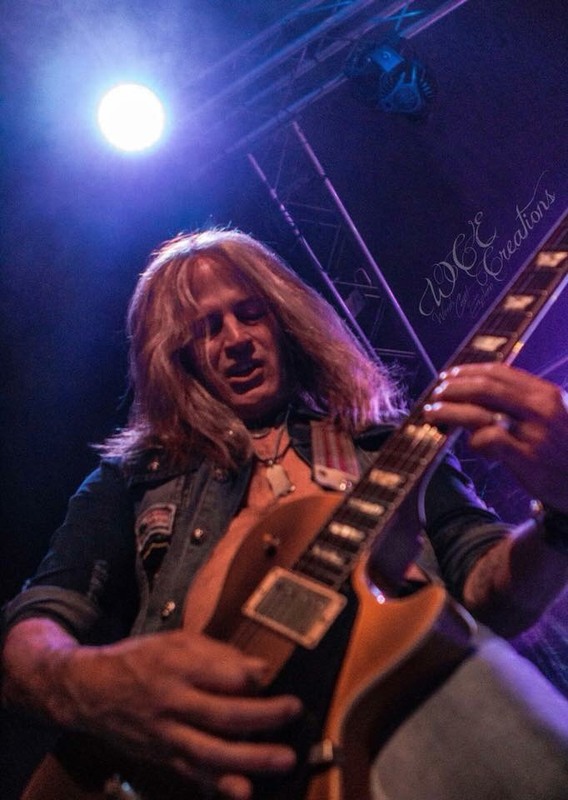 With a packed-out hall filled with an eager crowd wanting to see their favourite musicians from Doug Aldrich to John Corabi, the band did not disappoint. 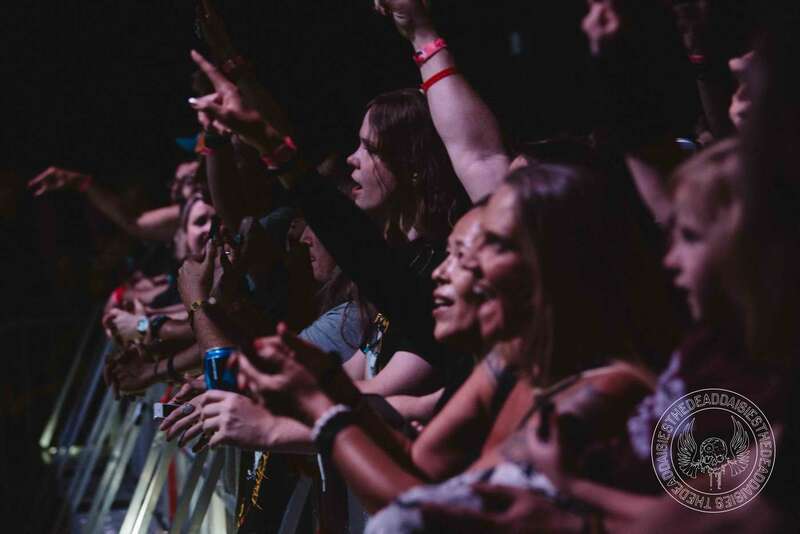 They blasted through a set that had everyone punching the air and clapping along to both old and new classic Rock anthems like ‘Make Some Noise’ and ‘Fortunate Son’. 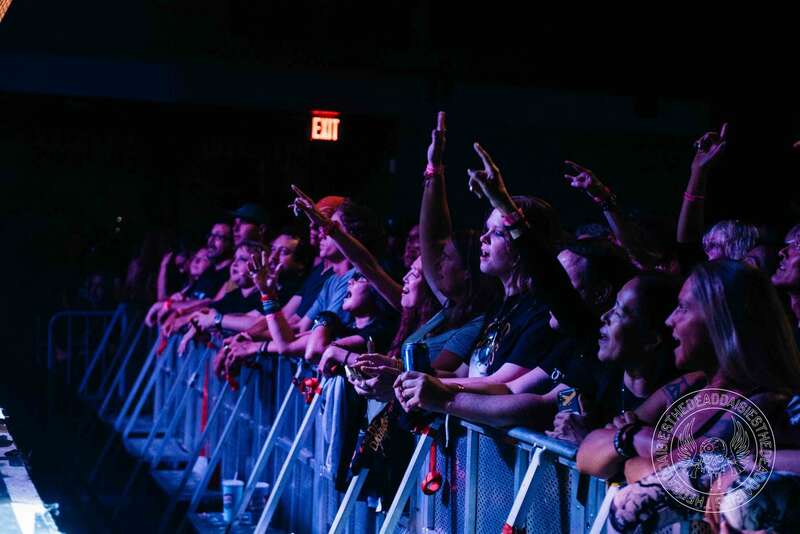 As the band took a bow and left the stage, the crowd knew they had witnessed a show that would stay with them for a long time. 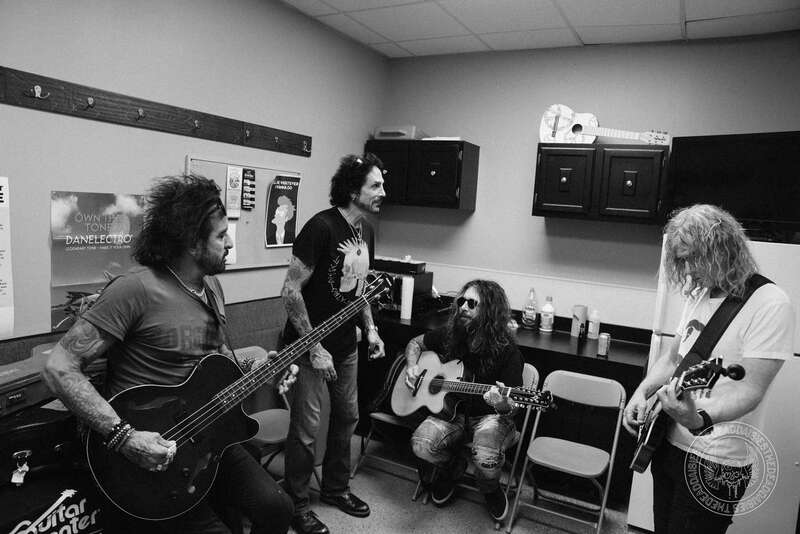 Today, the band head to Flint, Michigan as the next stop on their American tour. 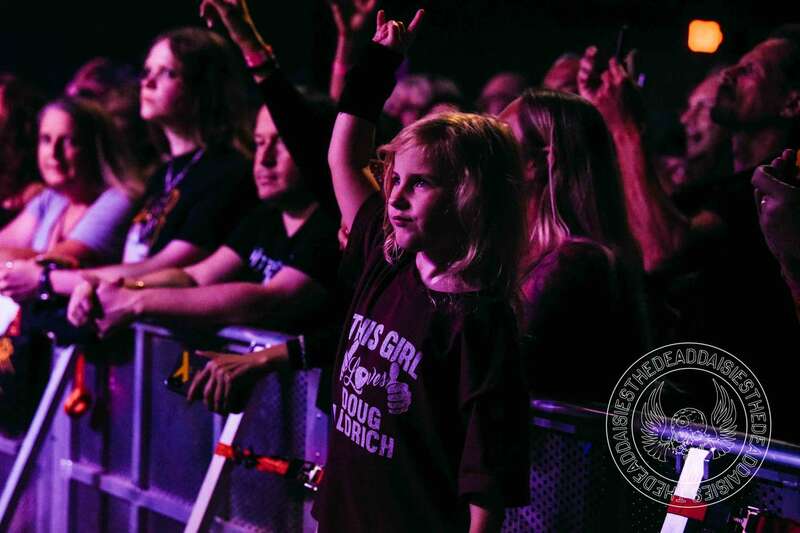 Until they take over yet another town, take a look at the pictures in our gallery! 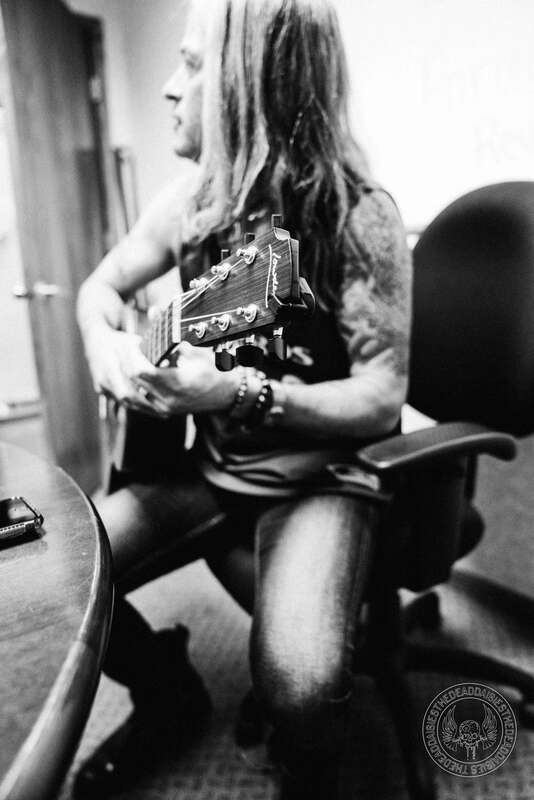 Additional photography courtesy of “Alex Dale“.